Hey friends! 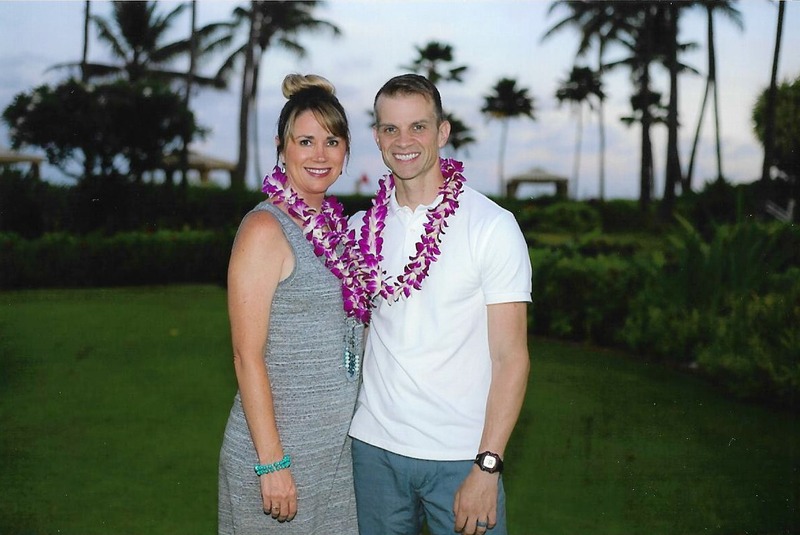 I cannot believe that it has already been a month since we took a dream vacation to Kauai, Hawaii. 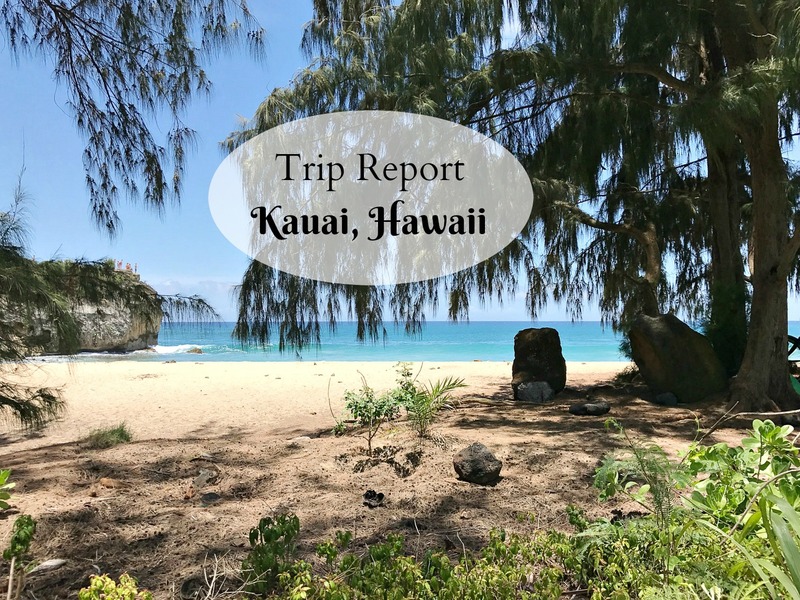 I have spent many an hour trying to choose and edit the photos for this post today, and I am so excited to share this trip report with you about our experience in Kauai, Hawaii! Have any of you reading this ever been? If so I would love to hear about it in the comments below, so share away. 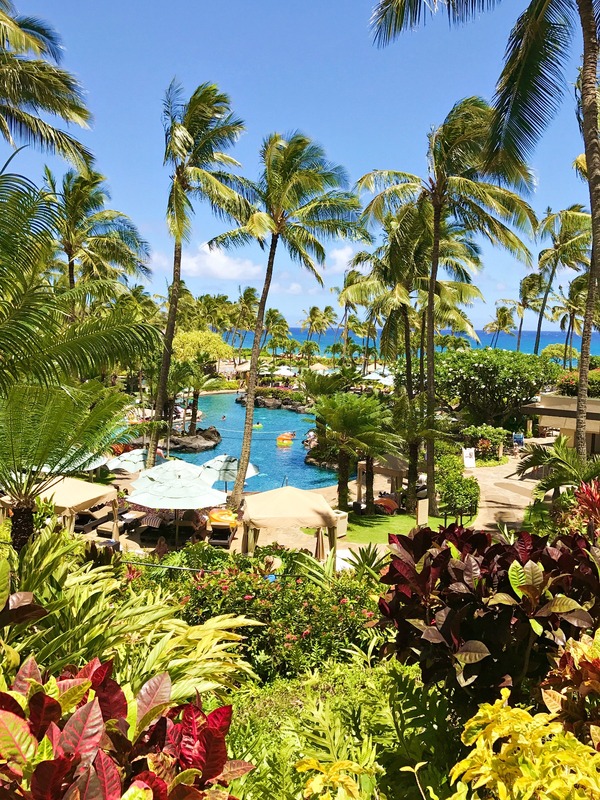 I can’t share this post without mentioning that my husband won this trip as a reward for being at the top of his game in sales for the year 2016. 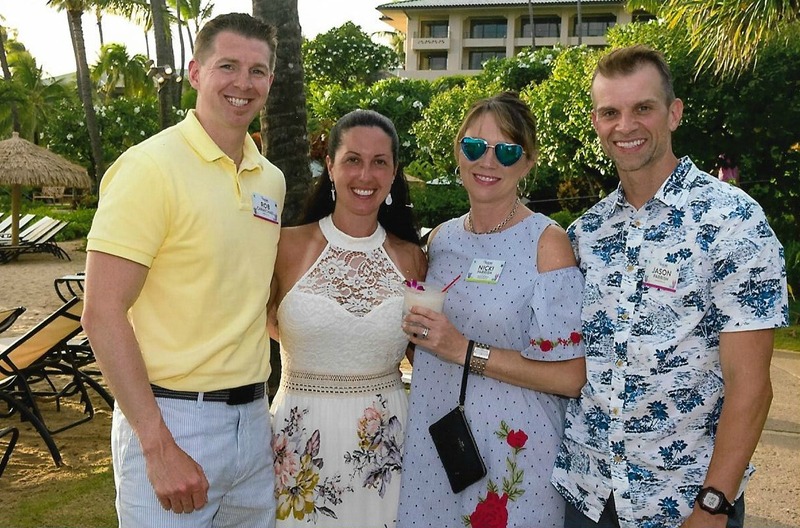 He is in sales, and the top performers in the company won this trip, which was a free trip, all expenses paid, for two. We opted to go ahead and pay the extra expense to take the children, and we are so glad we did. 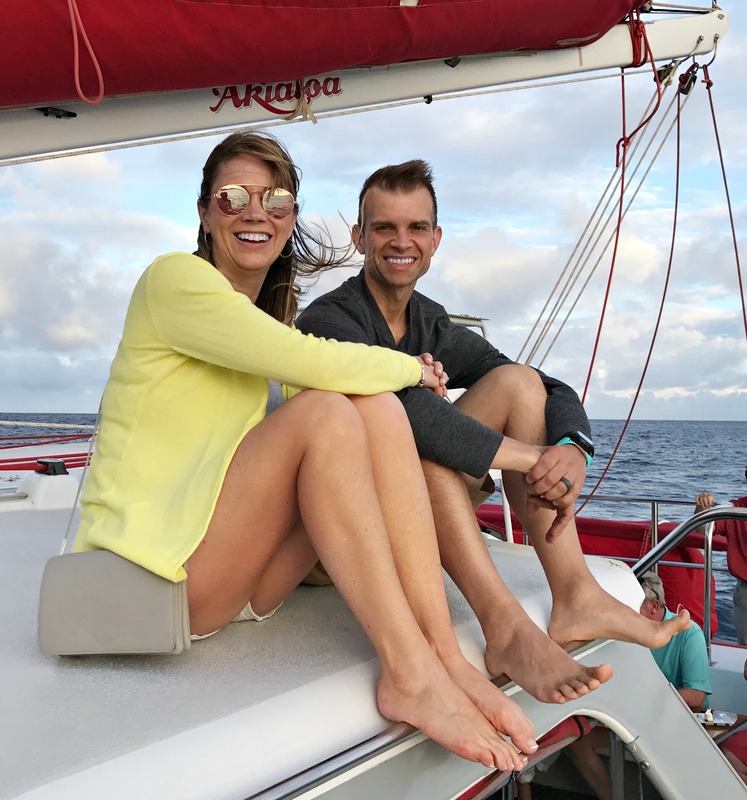 It truly was an amazing experience, we are so thankful for it, and we hope to go back and visit at least one of the other islands again one day. 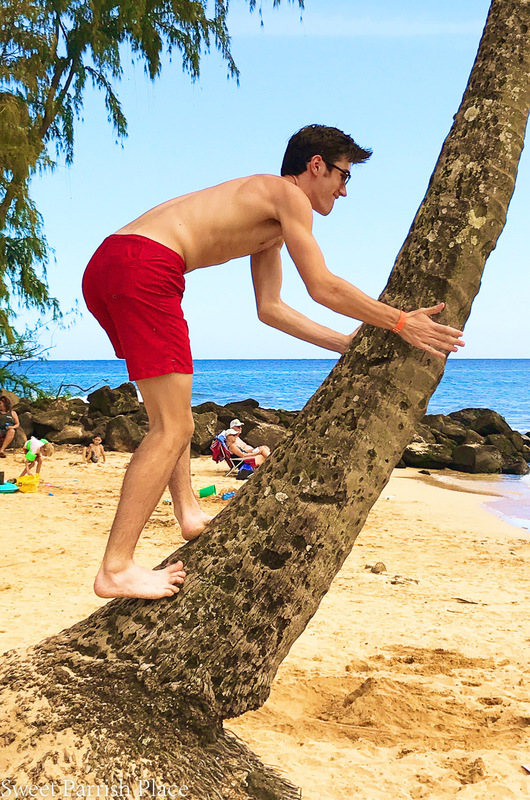 Anyhoo, let me tell you about Kauai! 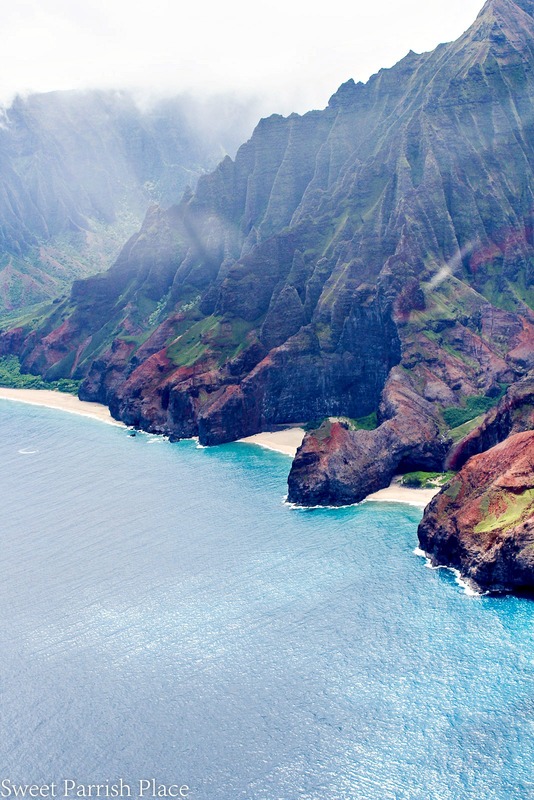 It consists of 553 square miles of beach, rainforest, desert, mountains and plains. 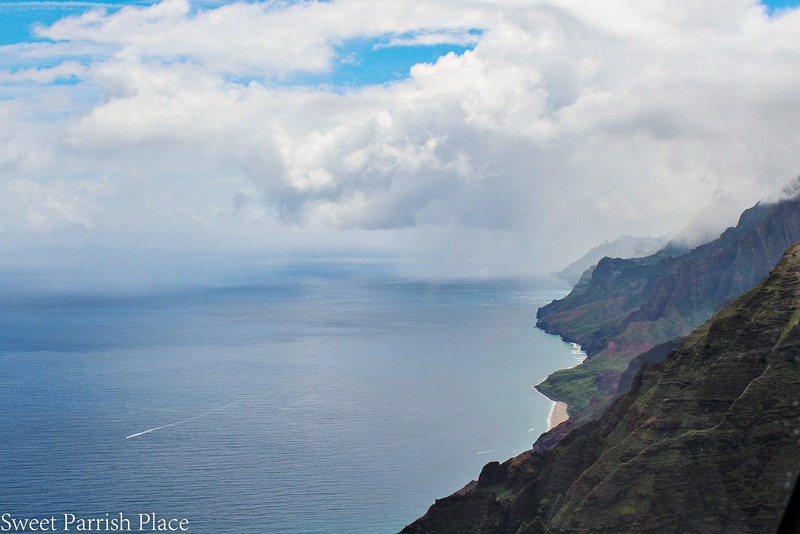 The islands landscape is varied and at Wai’ale’ale in the island’s center, it is the wettest place on earth. Just a few miles west, rain is rare, the north is lush, and the south is abundant sun. There are around 70,000 people who live in this beautiful paradise. 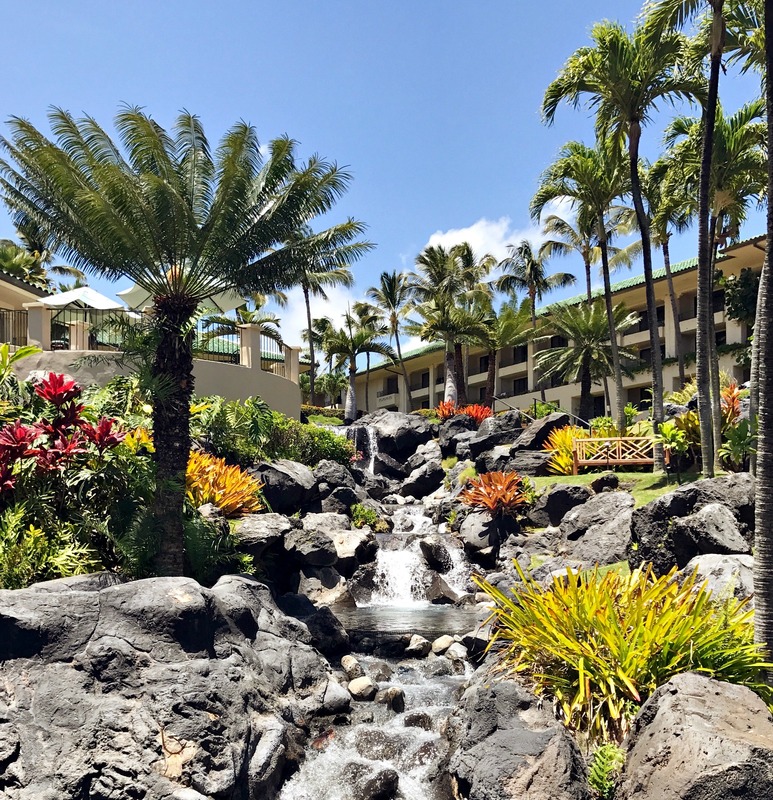 We stayed at the Grand Hyatt Kauai on the South Shore in a town called Po-ipu, and it was just about as beautiful of a resort as I have ever seen. Everyplace you looked was picturesque and amazing. 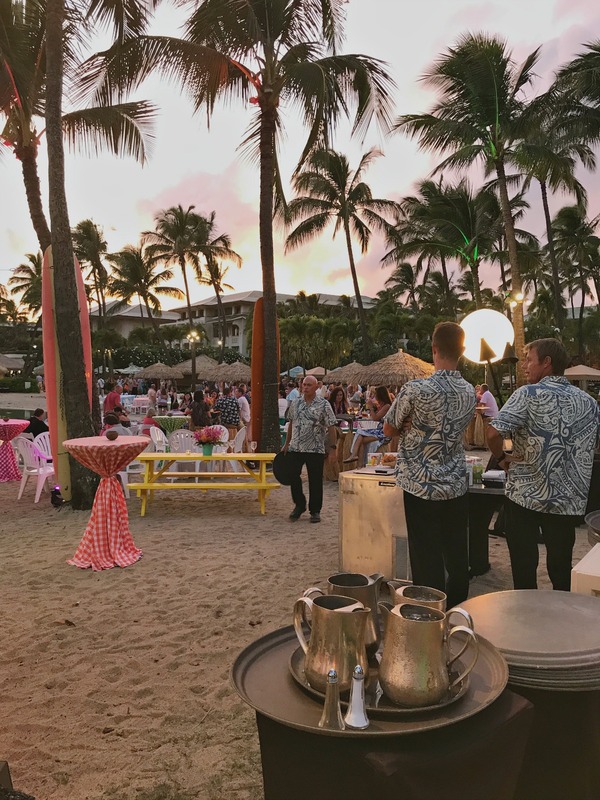 One thing that I always pictured in my mind was receiving a Lei made of fresh flowers upon arrival, and it really did happen! 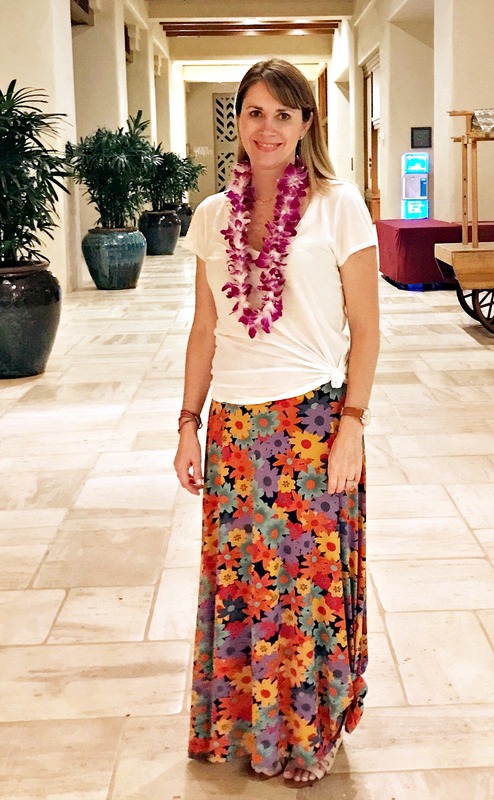 We were weary from traveling for 20 hours when we arrived, and it was 10:00 pm, but I was so happy to receive my Lei! 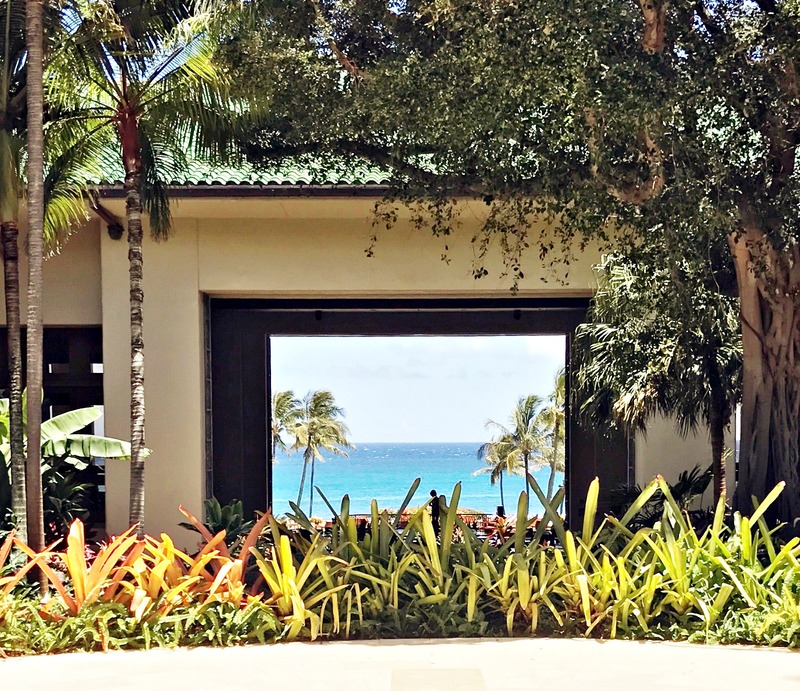 Walking into the resort for the first time, you are taken aback with the most lovely view, and I can’t help but think that the architect designed it to look like a giant frame of the most gorgeous ocean view. 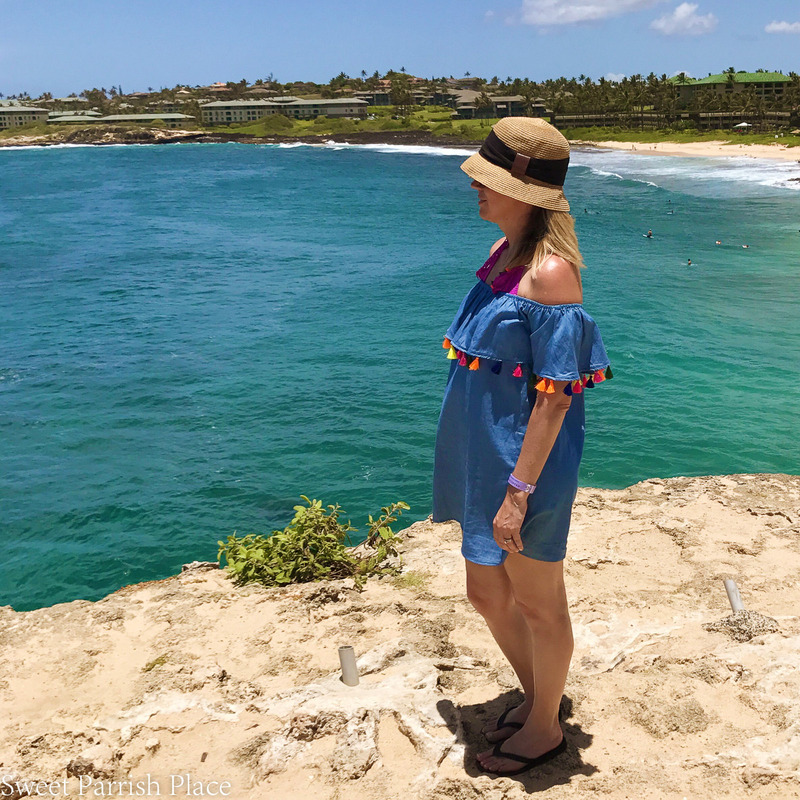 We arrived under darkness, so you can imagine how excited we were to get out and explore this beautiful resort as soon as we woke up, but first, we collapsed into bed for several hours! The resort has a saltwater lagoon, which was probably where we spent the most time lounging around when we weren’t out exploring the island. 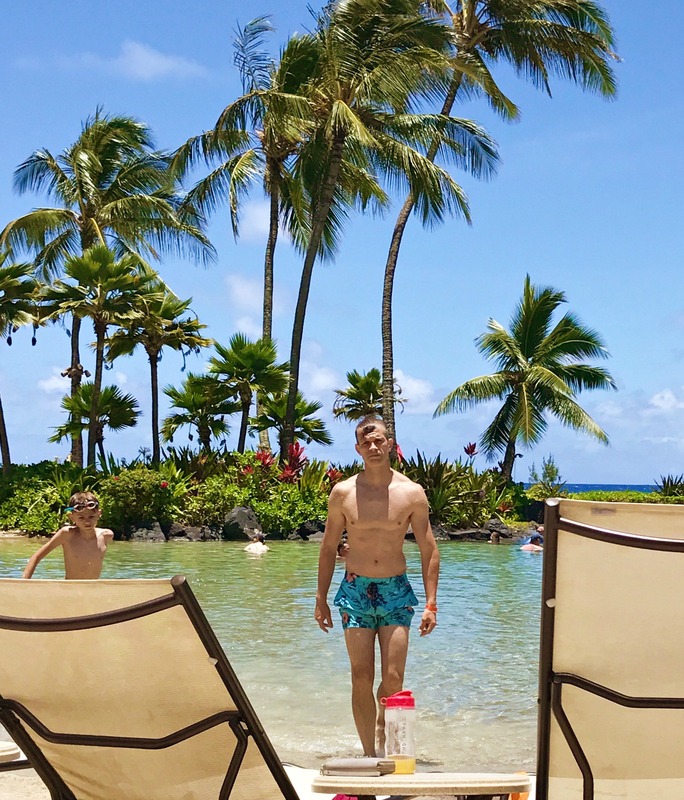 I do have to say, in my younger years, I might have been content to stay at this resort and never leave all week, but as I have matured, life experiences are so much more meaningful to me than working on my tan, and I want to spend every minute I can exploring when I am on a trip. Making memories is what life is all about. After that first night, we awoke and walked out on our patio and this view just took my breath away! I spent several minutes in prayer and just thanking God for the opportunity to bring my family here. The resort also had pools for days. I felt like they never ended. My older 17 year old son had ran to make sure we weren’t missing our shuttle when we had this photo op, so he missed out on being in the picture here. 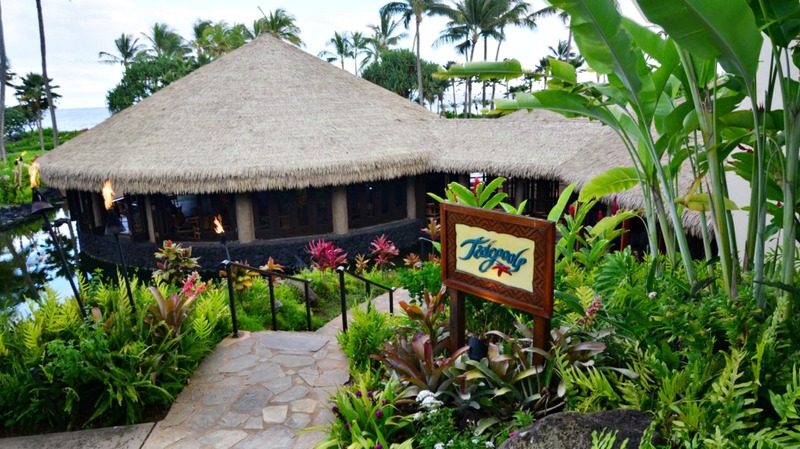 My husband and I didn’t eat at Tidepools, but the two older kids ate here one evening while we were attending an event, and they said it was delicious. They serve fresh seafood and the views are amazing. We loved the sushi creations at this place below called Stevensons. We also enjoyed some delicious cold sake. 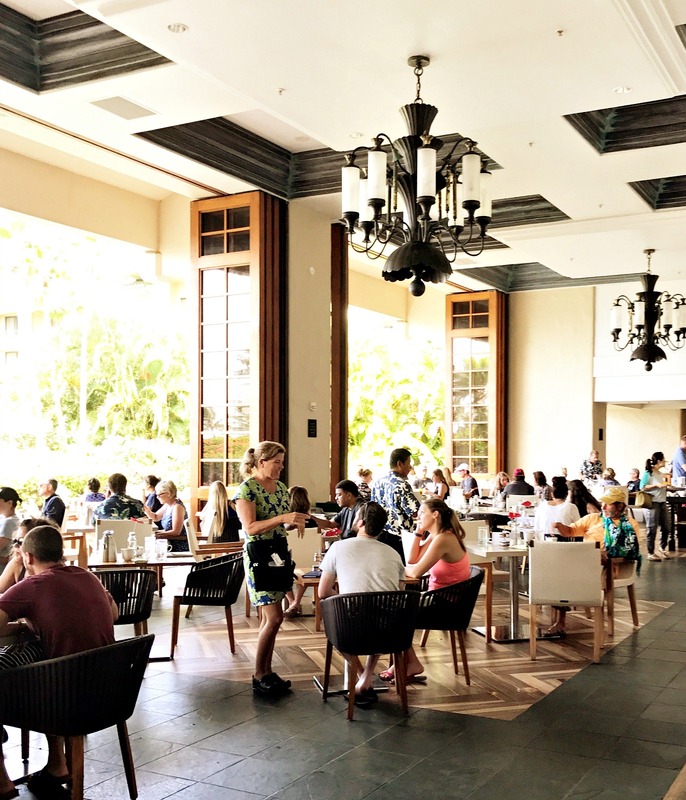 This is a poolside restaurant, and we ate lunch here at least three times because it was convenient and delicious. They also would come and wait on you and bring your food and drinks to the pool or lagoon. And the drinks? Yummy! 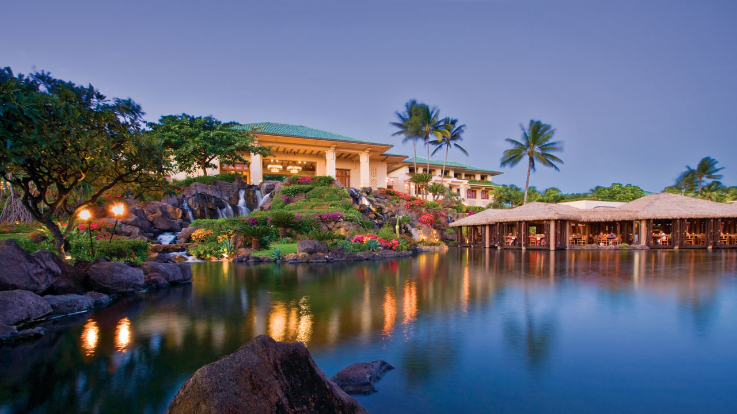 This place had one of the most amazing breakfast buffets I have ever seen! 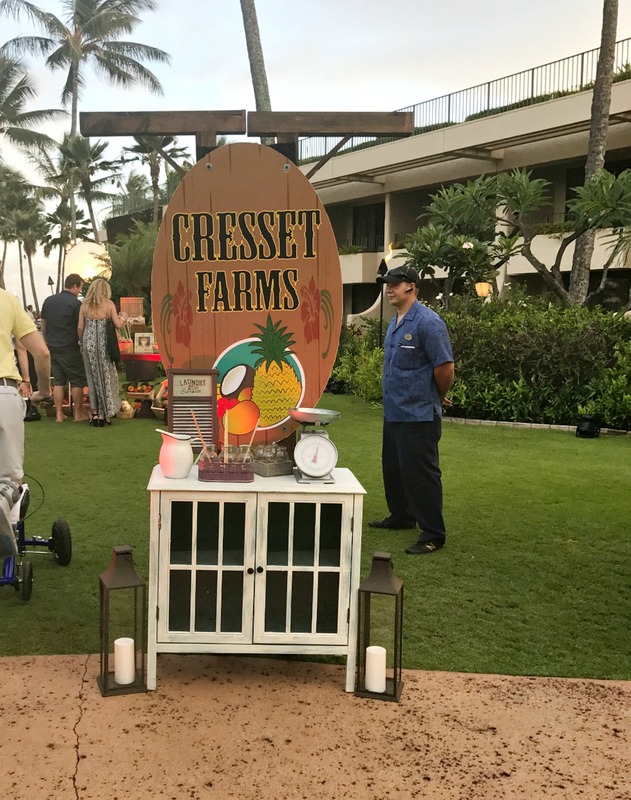 We only ate here on the first morning, because after that, my husband’s company provided a private breakfast buffet for all of the award winners and their families to eat at each morning, and it was delicious as well. 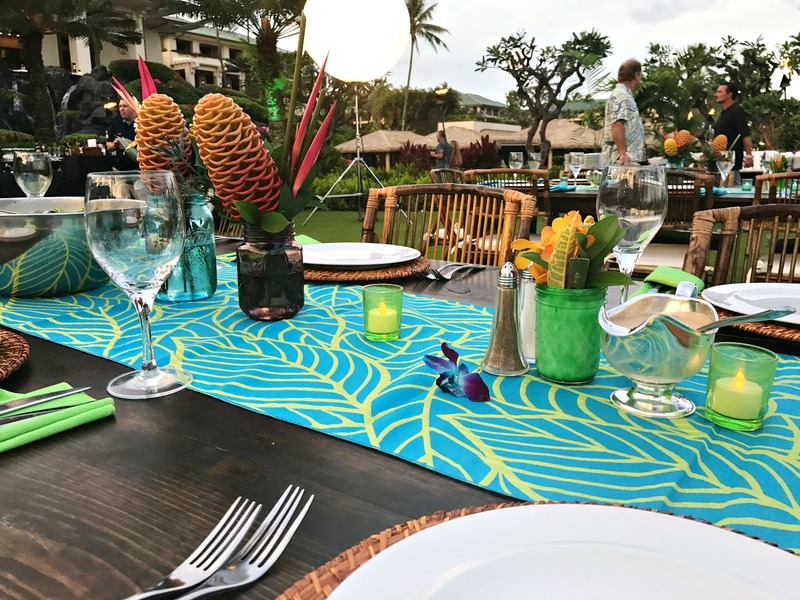 We attended two corporate events while there, and they were each so beautifully decorated and catered that I couldn’t believe it! They certainly put out the red carpet for their award winners, I have to say! 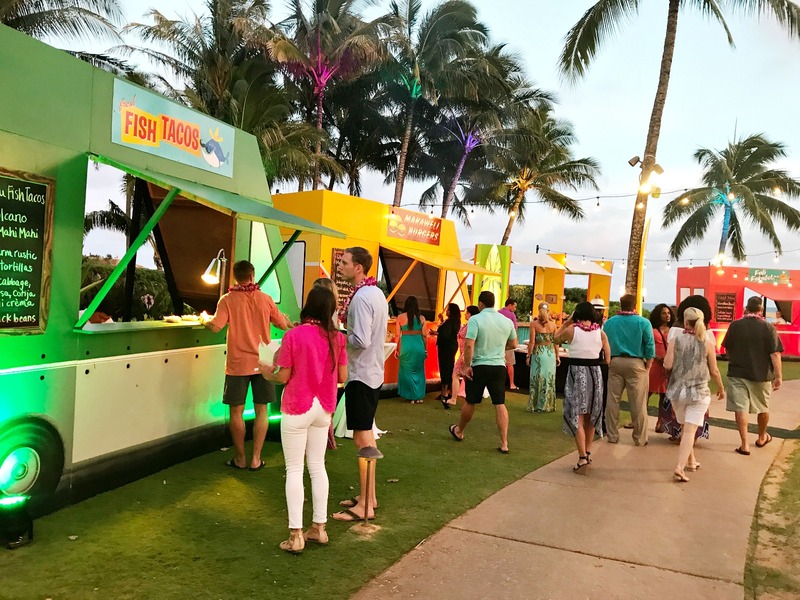 The first party was a food truck theme with ginghams and bright colors galore! 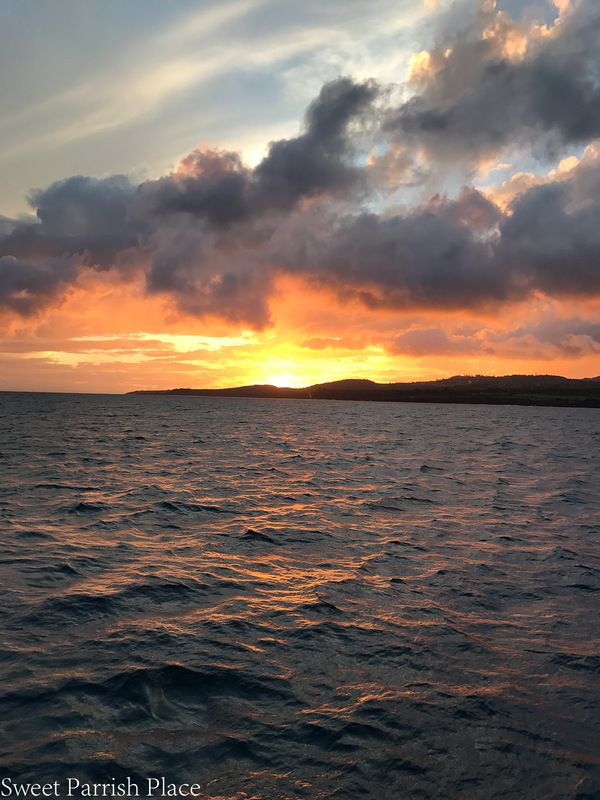 We spent so much time during the day exploring the island, that I felt like when it was time to go out for the evening, I gave myself way too little time to get pretty, so some evenings my hair was still wet when we ventured out. No regrets though. 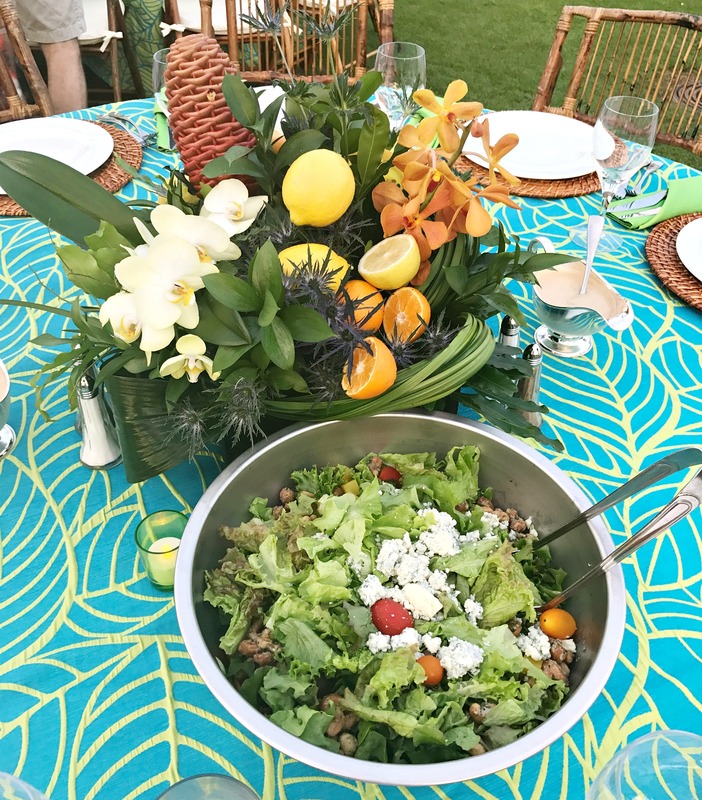 The second party was a farm to table theme, and the food was just amazing! 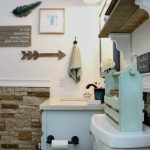 Not to mention the decor, I was in love! Amazing is an understatement for this excursion. We were so fortunate that the two of us were given the opportunity to go to one excursion per person each day of our trip, and this helicopter tour is probably one we wouldn’t have taken if it weren’t paid for, so we were extra aware of how fortunate we were to have been given this experience! And we lucked into the best seats because I sat right next to the pilot! 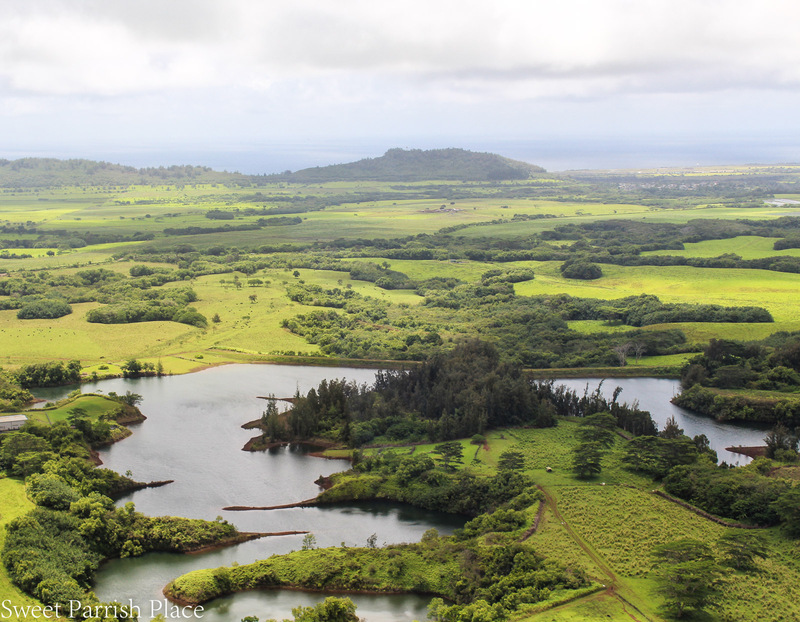 We were able to see the entire island from the air and we were just speechless! I took my good camera along for this one, and in some of the photos you might notice a slight glare because they were taken through the windshield. I will never forget this experience for as long as I live. A little tip, in case you ever get to go on a helicopter tour- wear dark colors. If you have on light colors, it makes a glare on the windshield and your pictures won’t turn out as good! We wore dark colors because someone gave us that little tip. 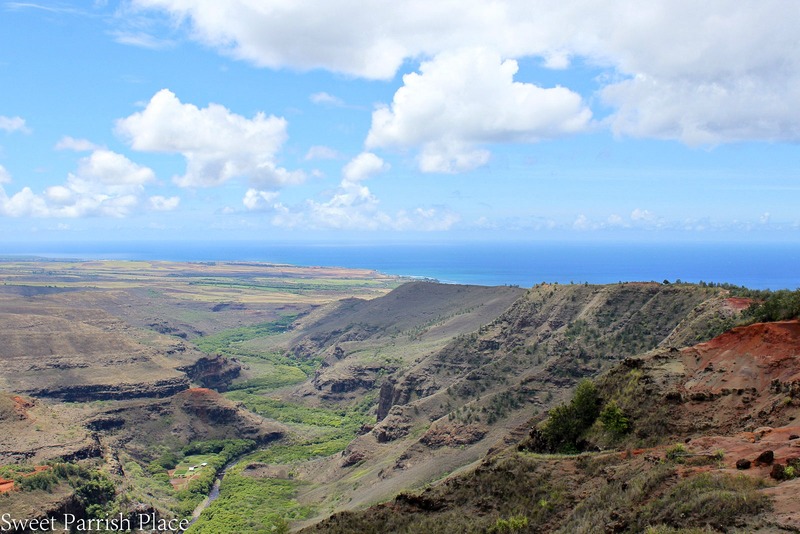 These next two photos are of the north side of the island called the Napali Coast. This has to be one of the most gorgeous views I have ever seen. 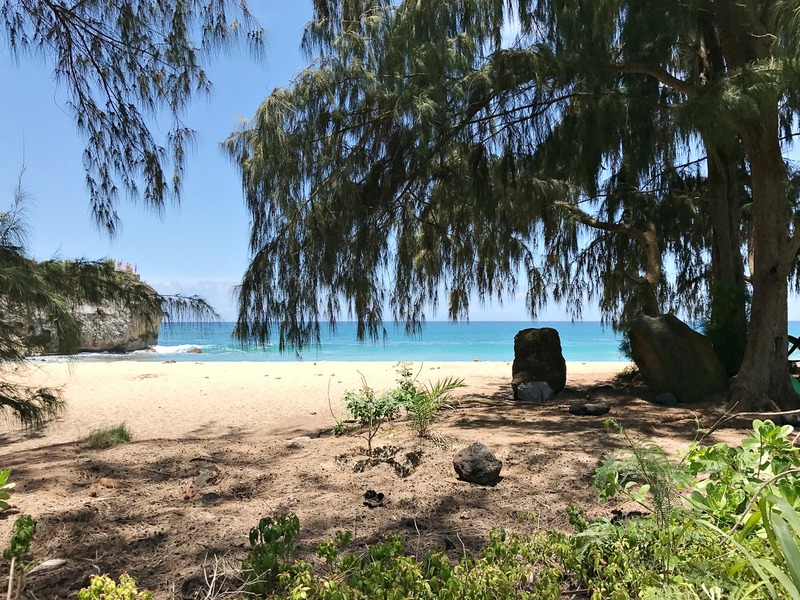 The only land access to this enchanted area is via the 11 mile Kalalau Trail that starts at Kee Beach and ends at the exclusive Kalalau Beach. This is a challenging and treacherous hike, and it’s the only way to get there by land. 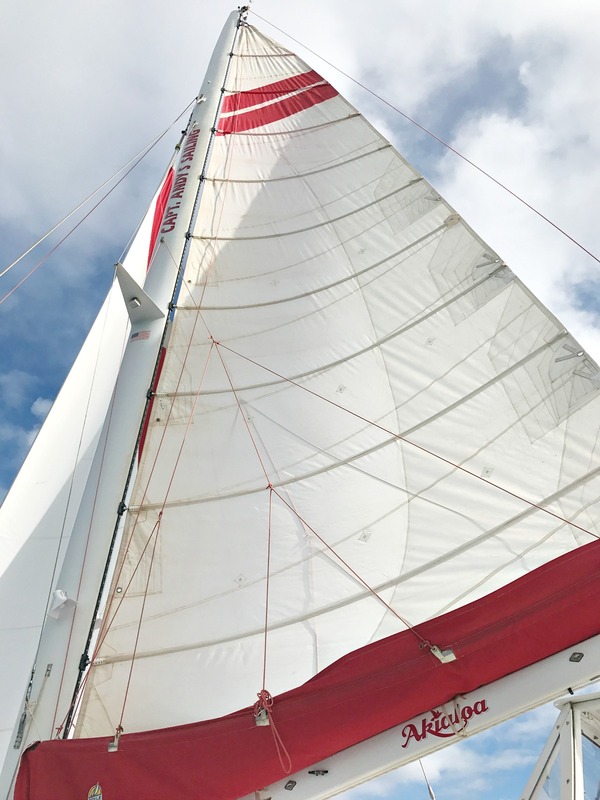 We saw a huge beautiful yacht right off the coast from the air, and our pilot told us that all of the pilots had been buzzing and guessing who it might be. You can bet it was either someone very rich, very famous, or both. 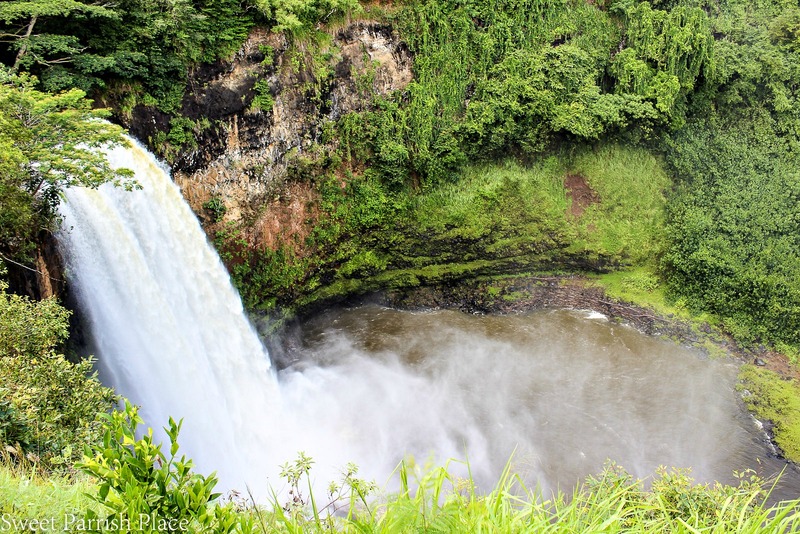 The waterfalls are abundant in Kauai. They are everywhere and they are countless. The pilot described them as the island weeping, and I have to say it is an accurate description for sure. This was an excursion my husband took alone. My daughter and I opted to do a spa day, and I had the most amazing and relaxing massage. 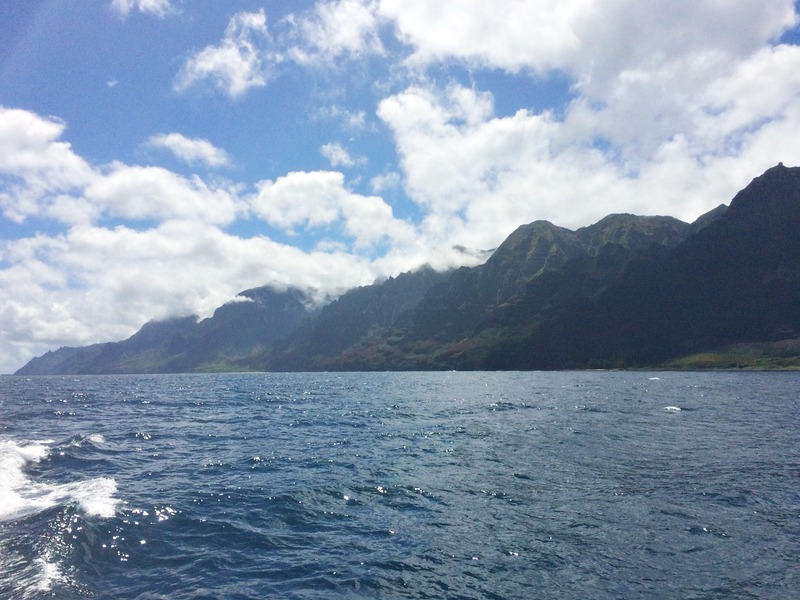 Meanwhile, my husband took a boat over to the Napali Coast and went snorkeling. 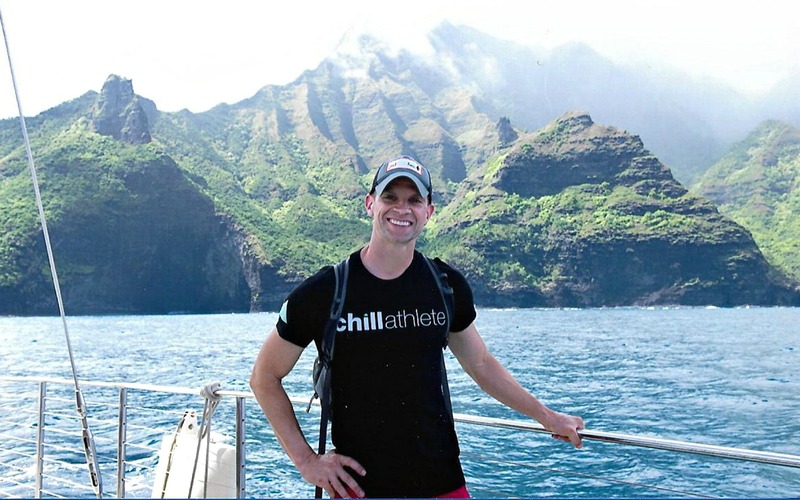 This was an excursion that was a second choice for him because he had originally planned to go on one where they got to hike around at the Napali coast, but it had been cancelled due to a storm the previous night. 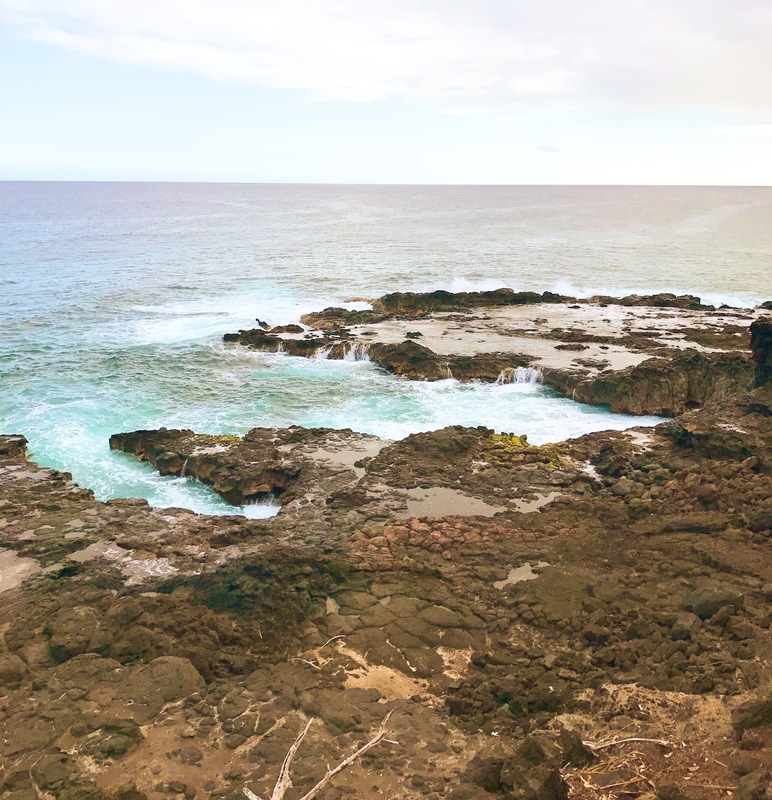 He was kind of bummed not to go hiking, but he was snorkeling in one of the most beautiful coastlines on the planet, so I say not too shabby, eh? 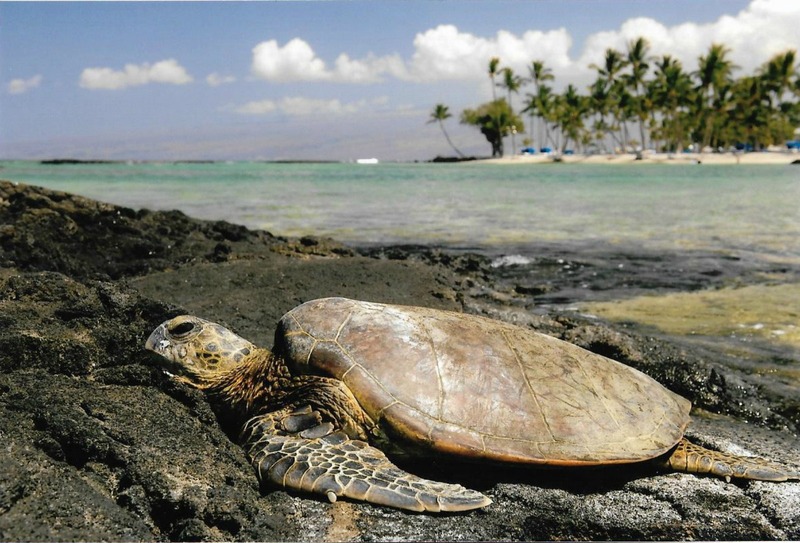 He reports that the sea turtles were abundant! This was so fun, because it was like a date night for us! 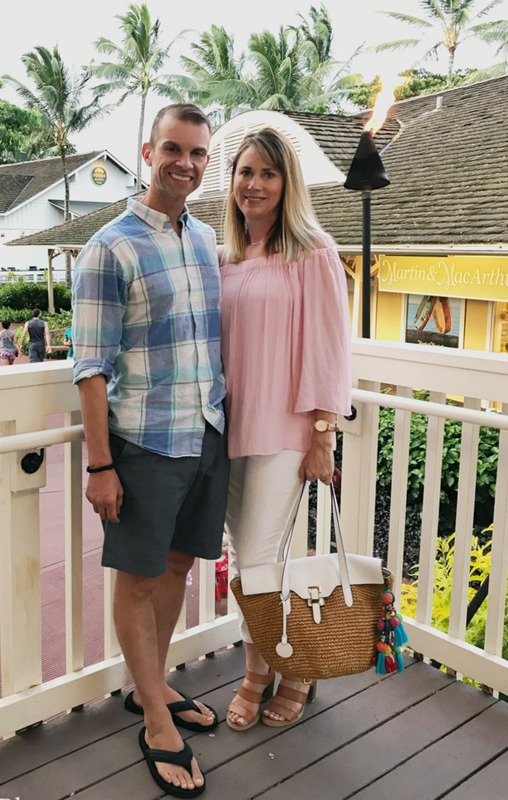 We left the children to fend for themselves at the resort (poor kids, right), and we took a sunset dinner cruise that did not disappoint! The food was good, not delicious, but certainly edible. But it wasn’t about the food ya’ll. 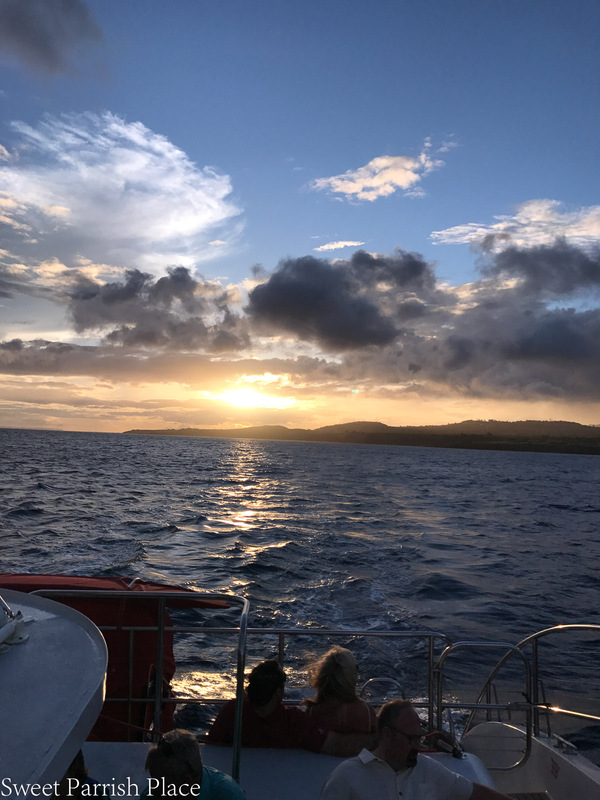 It was about the experience of being out on that awesome sea in a sailboat, and getting to watch the most amazing sunset. I certainly felt the presence of God surrounding me that evening, I have to say. Wow! This was an excursion that my son was given the opportunity to go on with a friend of my husbands whose wife chose to go to the spa instead. 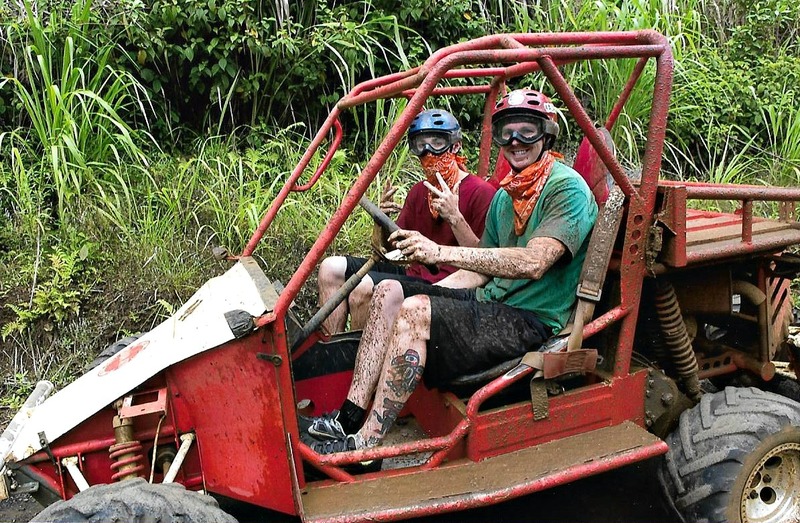 They rode doon buggies through the rain forest to a waterfall where they ate lunch and swam. I have to admit, you couldn’t pay me enough to get that dirty, it is not my cup of tea. But for some people, they love that! My son had a fabulous time! He said they gave them clothes to wear, so his clothes didn’t have to get dirty. 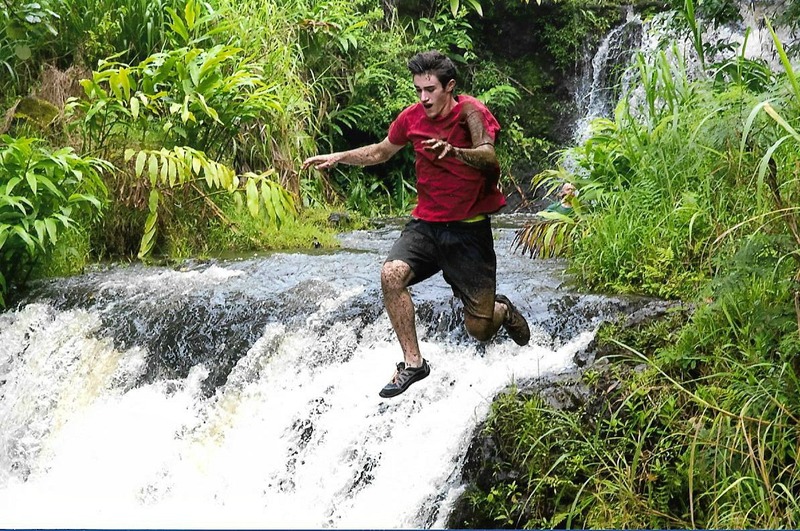 Another little tip for you, take water shoes with you if you plan on going on adventures in Kauai. You will not regret it. I bought them for all of us, and by the end of the trip they were muddy and wet, and we just left them there, which is just the way we planned it. We opted to rent a car for the week we were there. We debated back and forth about this for a few weeks, and ultimately decided to go for it. And we don’t regret it for a minute. 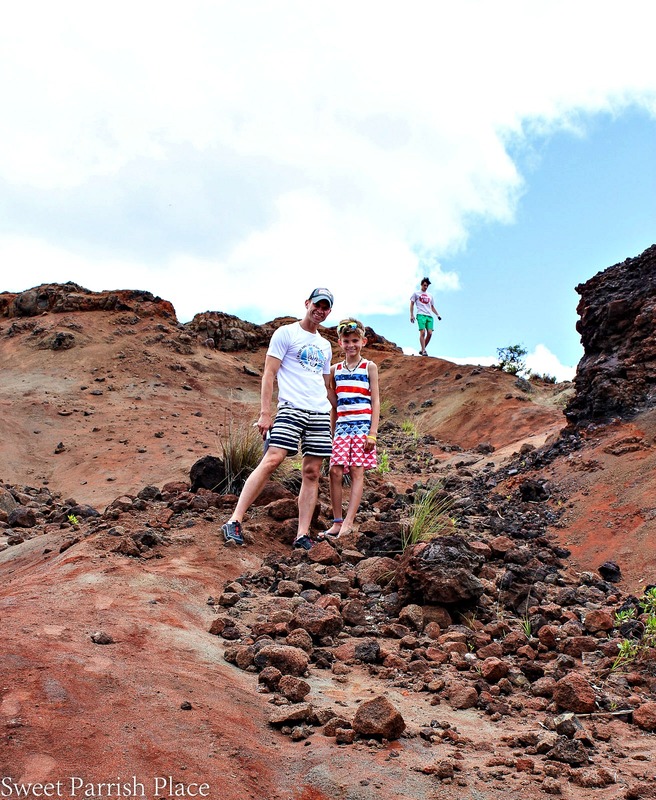 We would have never had the same opportunities to explore as much of the island as we did without the car. So I very highly recommend renting a car if you are into exploring the way we are. My husband led us to this particular spot because there was a John Wayne movie called Donovan’s Reef that was filmed here. And I am so glad he did, because it was just gorgeous! 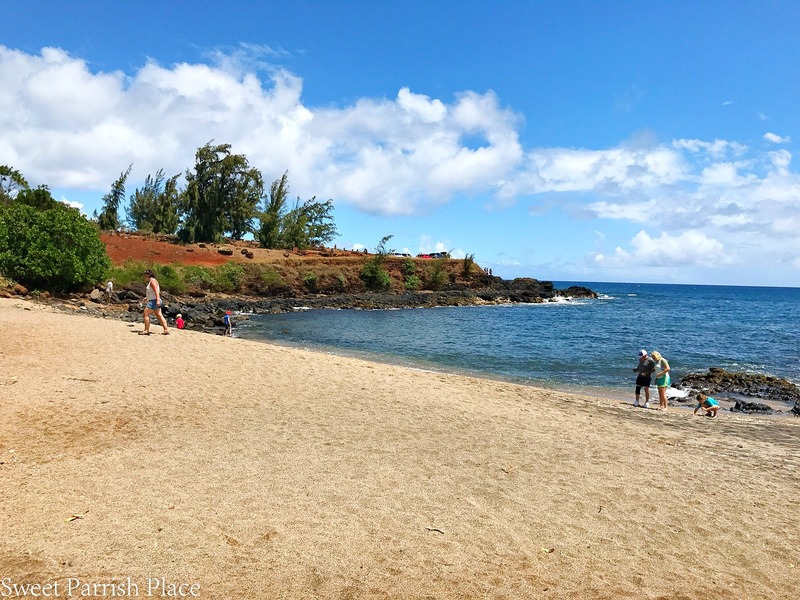 This is a great beach to visit if you have children who want to swim in the ocean. 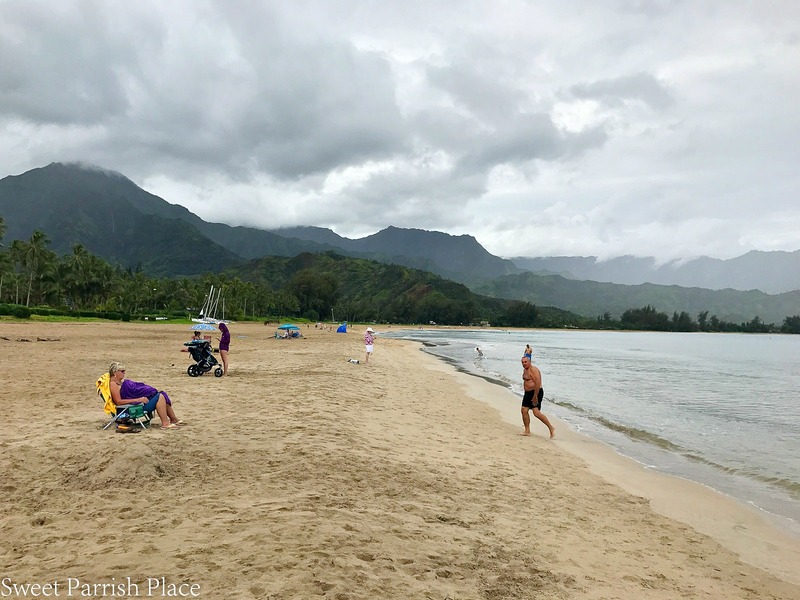 In Kauai, not every beach has a lifeguard, so we were extremely cautious about swimming in the ocean unless lifeguards were present. Neither of us are particularly strong swimmers, although we can swim. But being able to swim and being able to save someone in a rough ocean are two very different things. 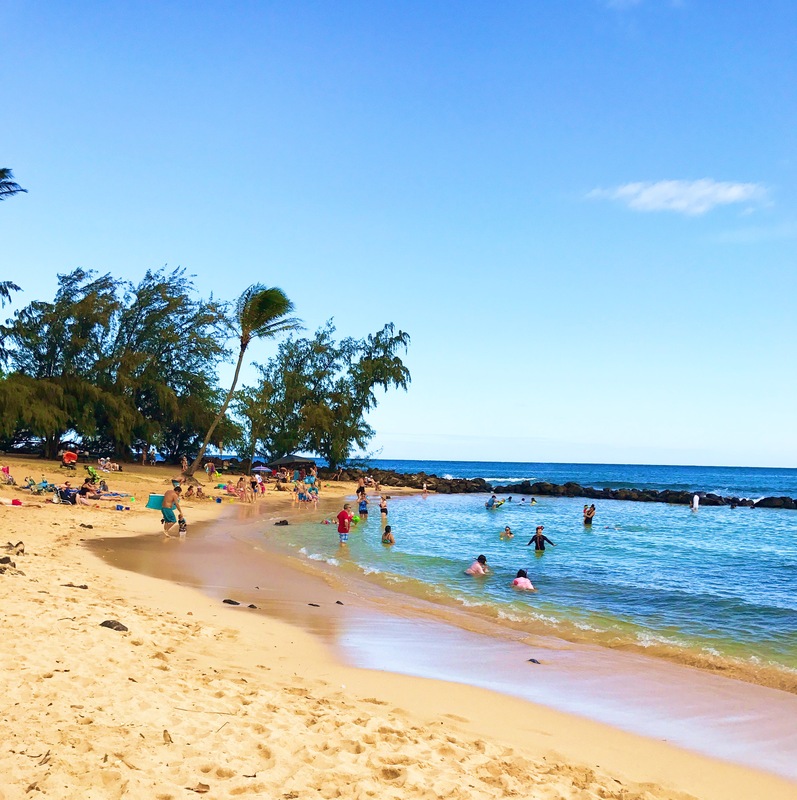 Poipu Beach was a perfect area for our kids to enjoy the ocean, and it does have lifeguards. It seemed to us that a lot of locals were here too, and we liked that. 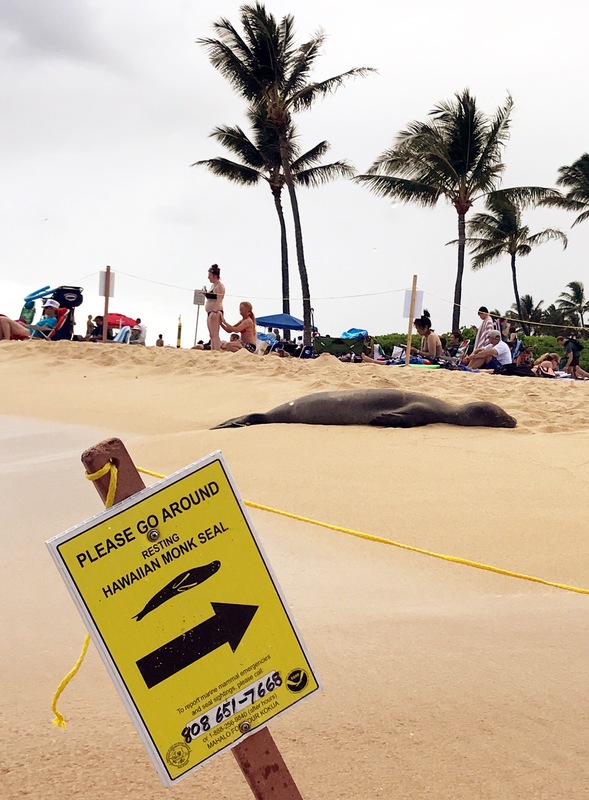 We were also thrilled to get to see a Hawaiian monk seal resting on the beach. They had him roped off with signs not to disturb his nap. 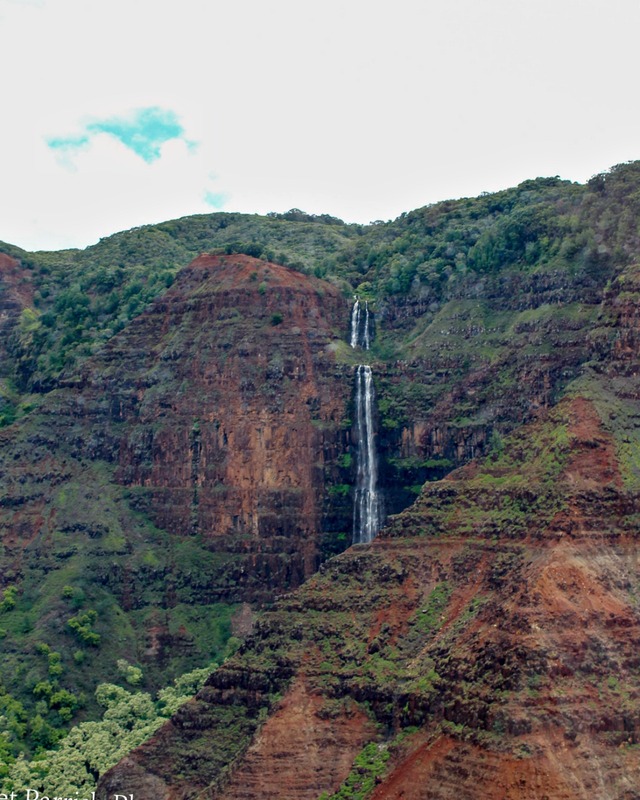 We saw this waterfall from our helicopter tour, and decided that as soon as we returned to the resort, we were putting the kids in the car and taking them there. Because our helicopter pilot told us you could access it from the car. This is the waterfall fantasies are made of! And it was actually featured on the opening credits of the television show Fantasy Island, does anyone remember that show? Le plane le plane! 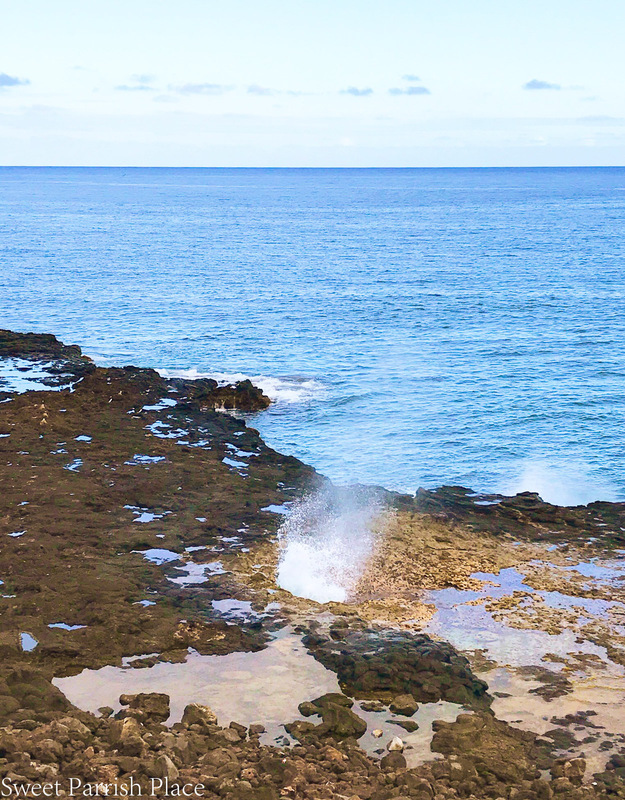 Here you will find a blowhole that is actually a small lava shelf where water from waves is thrust through an opening. This sight has an additional hole that blows air only, causing a loud moaning and gasping sound. 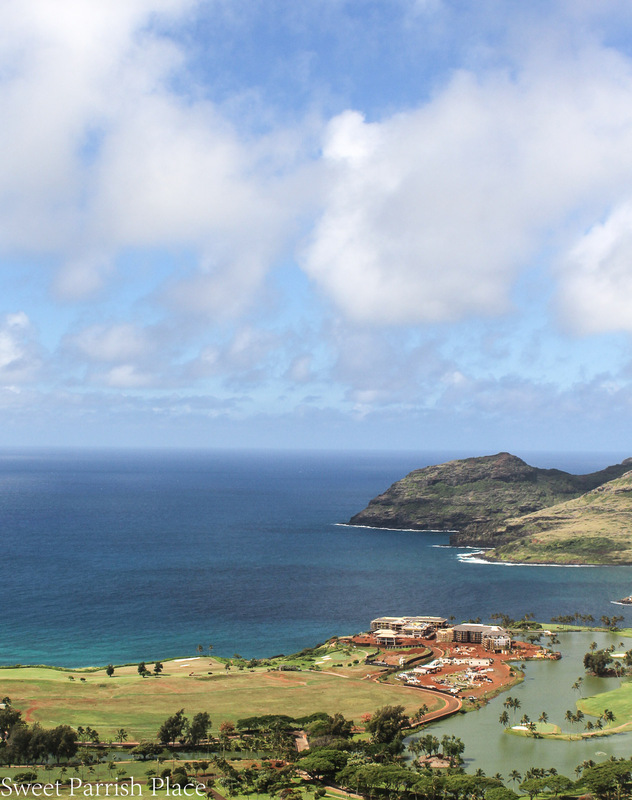 Legend has it that the entire coastline in this area was once guarded by a giant female lizard called mo’o. She would eat anyone who tried to swim or fish in the area. One day a man named Liko went fishing. The mo’o went to attack him and he threw a spear into her mouth. The angry mo’o chased him into the lava tube. He escaped, but the mo’o became trapped in what we now call Spouting Horn, where it’s cries of hunger and pain can be heard to this day. 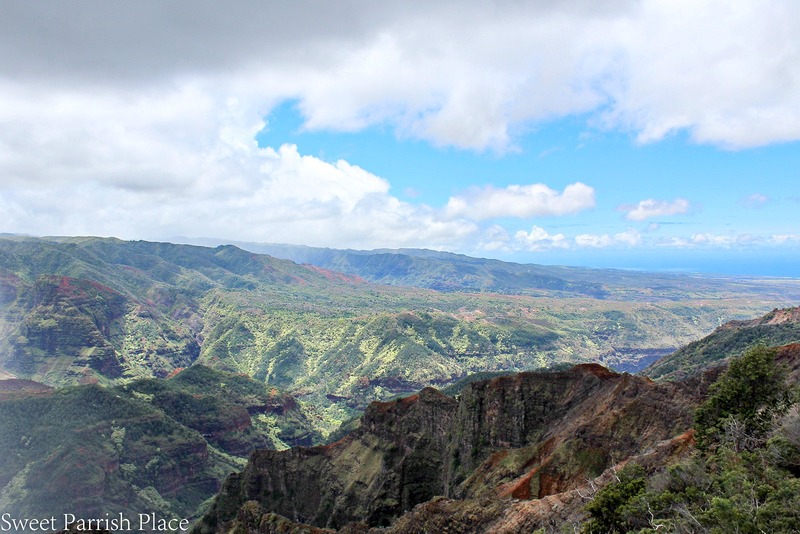 Nicknamed the Grand Canyon of the Pacific, Waimea Canyon is about 12 miles long and up to 3,600 feet deep. 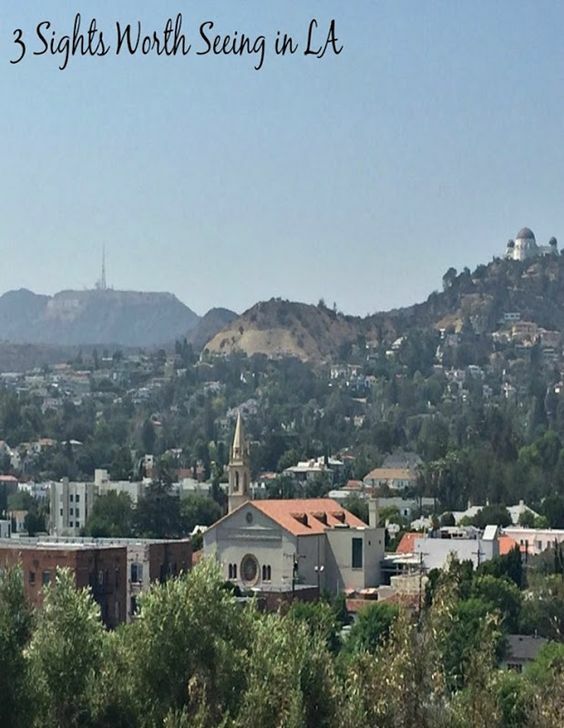 And the views are simply breathtaking! This was so worth the drive, and we stopped at several overlooks along the way. 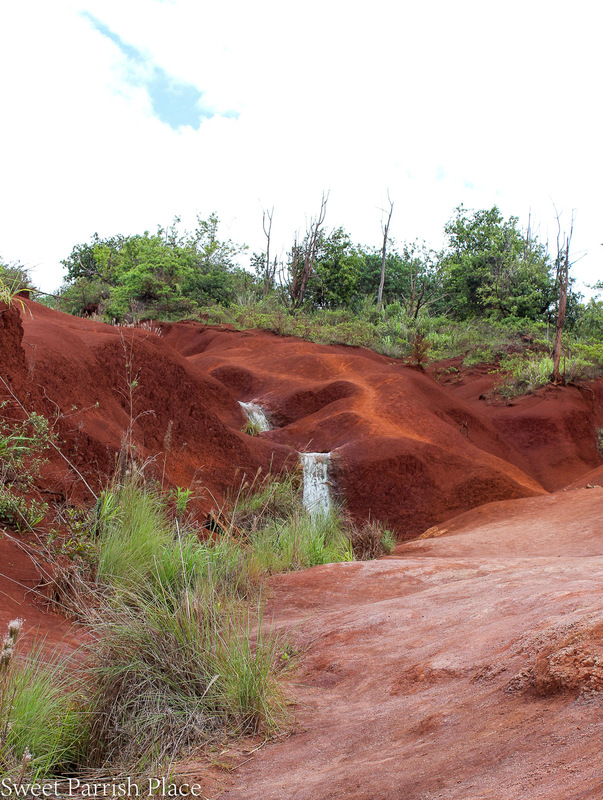 You will notice in these photos that the dirt is red, and when you travel down the mountain to nearby towns, you can by red dirt shirts that are made using the actual red dirt. My son and I each bought one. At the top lookout, there was a food stand where Hawaiian girls were selling exotic fruit and home made food made by their mothers. So we had a really good time trying dragon fruit, lychee, fresh coconut, and more. My kids had never eaten fresh coconut, and it was the consensus among them that it tastes like almonds. 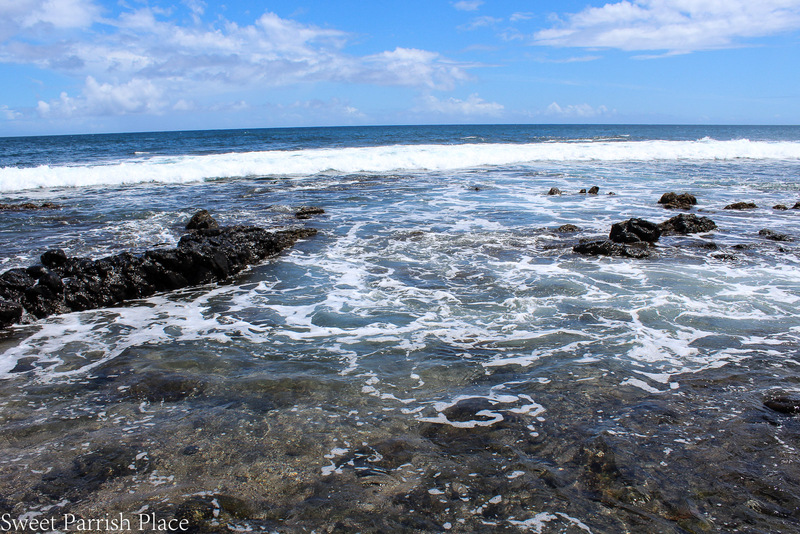 Glass beach isn’t mentioned in most guidebooks, but we are so glad we found out about it! there are no signs directing drivers to it, but it can be a bonanza for collectors of sea glass. Plus, it was also a gorgeous view as well. 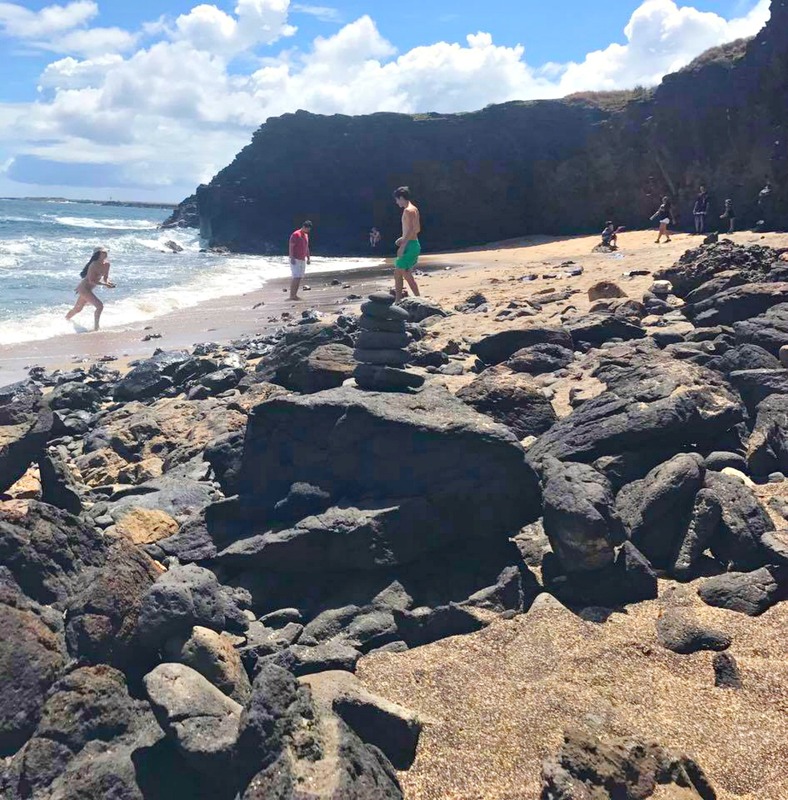 This is a beach where it is best to wear your water shoes, and if you venture into the water, the rocks hit you on the legs and ankles when the waves come in, so be cautious! They ask you not to take the sea glass, but everyone was, so we each selected a few pieces, we couldn’t resist! 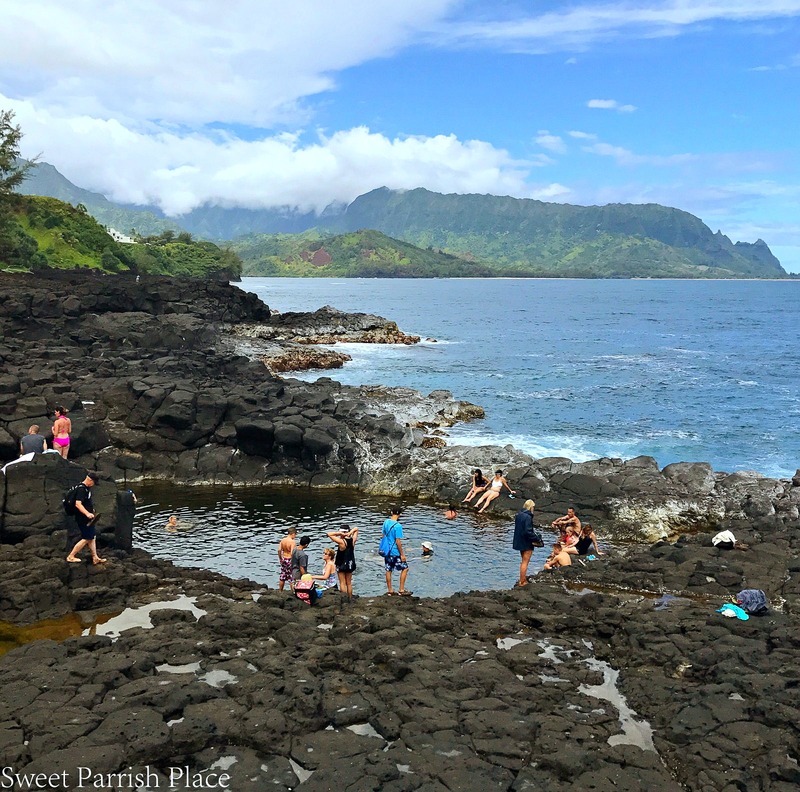 Queens Bath is located in Princeville, and it was a place that I had to pretty much talk my husband into taking us to. 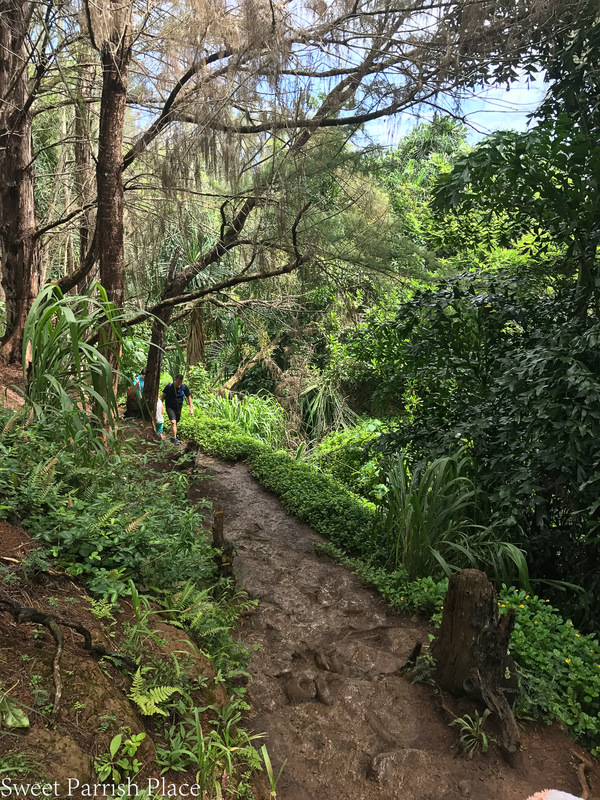 You have to hike about 100 feet down a very muddy path to get there, and at times on the way down, we worried that we should turn back, but as we met up with people on their way back up, we kept hearing about how worth it is was, so we ventured on. On a sidenote, let me say that when we arrived and were preparing to hike down, we realized we somehow forgot my daughter’s water shoes, so she decided to go in the sandals she was wearing. We weren’t far down before she opted to remove her sandals and brave it barefoot. The mud was up to 6 inches deep in places, so she was a brave heart that day, and I don’t know that I could have done it. I am happy to report that I got the least muddy, but it took me the longest to arrive at the bottom. I carefully selected each and every step I took because me and mud don’t mix. When we arrived off of the muddy trail, we were amazed at what we saw. I have to say it was one of the most beautiful places I have been on earth. The trail itself, although muddy, was beautiful as well, and it was right next to a waterfall. And the sea turtles were in abundance in the coves there. 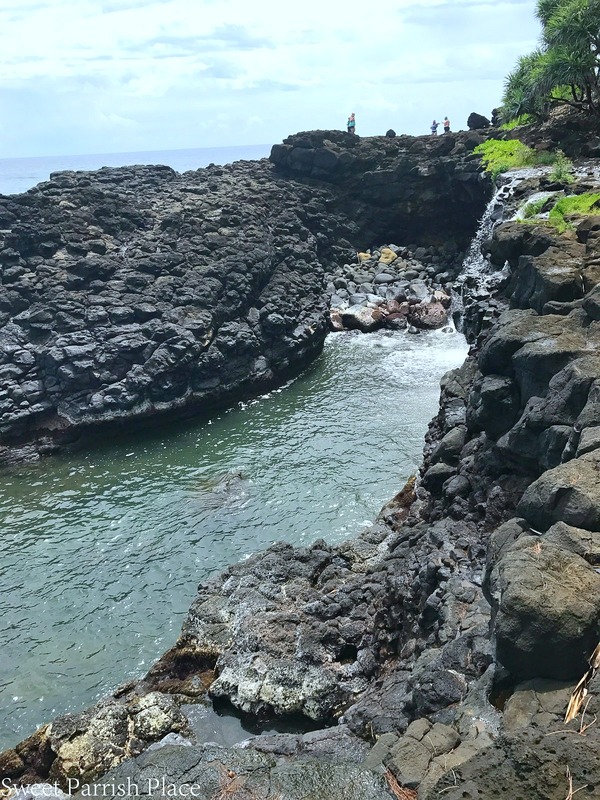 This swimming hole is the Queen’s Bath. 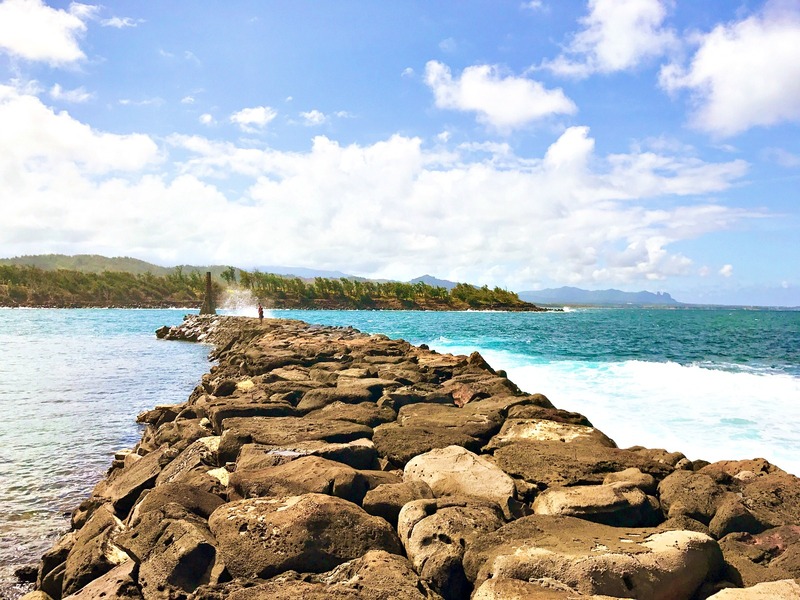 After we left Queens Bath, we drove to Hanalei Bay at the advice of my masseuse. He told me it was his favorite beach on the island, and that it was a great place for kids to swim. On this particular day, we had planned to kayak to a waterfall, and our excursion had been cancelled due to storms the previous night, so we decided to explore by car instead. And Hanalei was just the cutest, sweetest, sleepy little beach town! I am so glad we ventured to that side of the island. 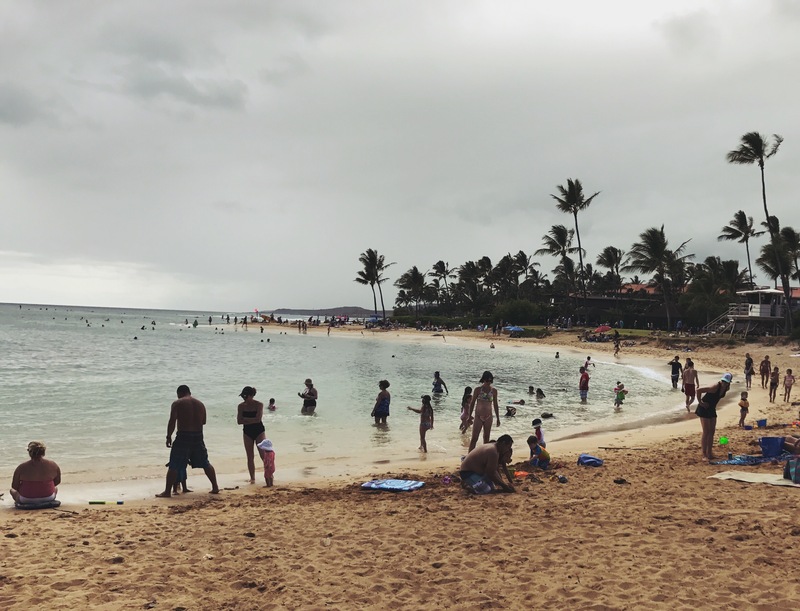 It was very cloudy and it rained several times that day, but we still had a great time. The locals say that if you don’t like the weather, just wait about 4 minutes, because it will change, and it seemed to be correct! This beach was right outside of our resort. There was no lifeguard at this beach, so we were very cautious. My daughter spent quite some time watching surfers on that beach, and she has decided she wants to live near the ocean and she wants her children to surf now. There is a cliff you can hike up to, and some people were jumping off, but this Mama Bear was not about to allow that! 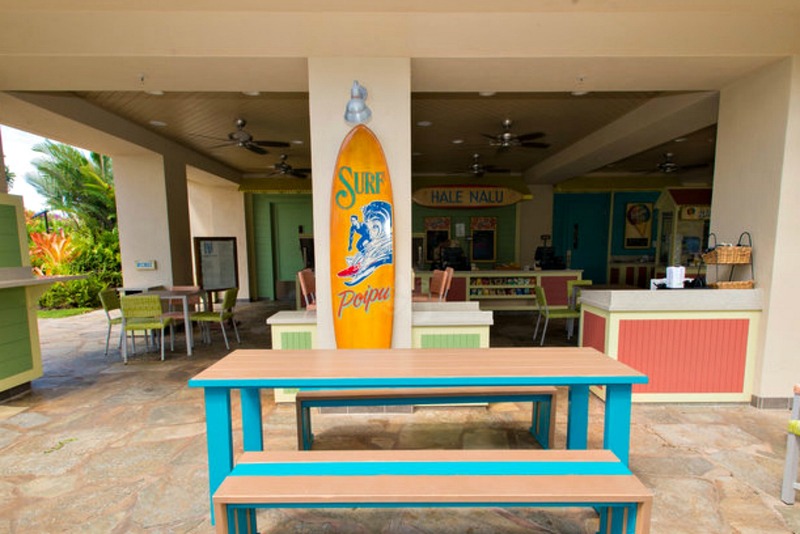 Shave ice is a very popular treat in Kauai, so we set out to try it. We read in our guidebook that it is an island delicacy. 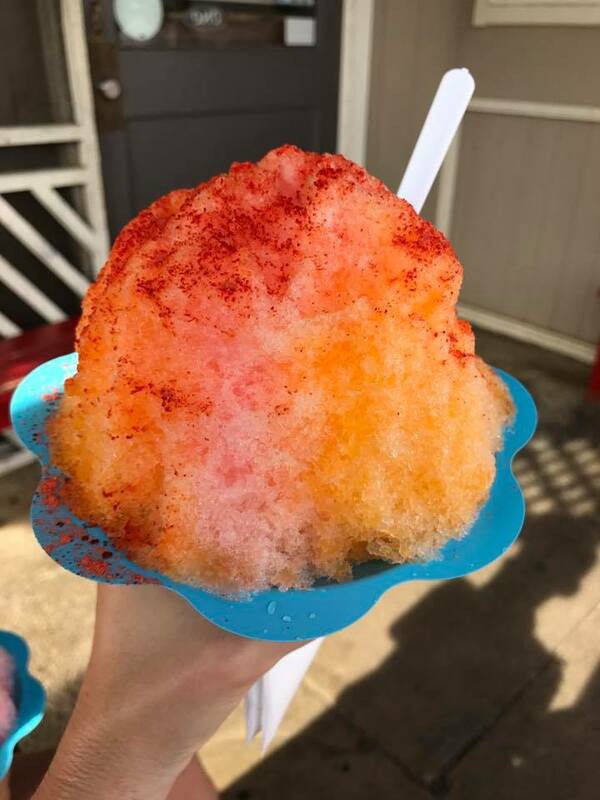 Lest you be confused, shave ice is not a snow cone. Shave ice uses a sharp blade to literally shave a large block of ice, creating an infinitely fine powder. 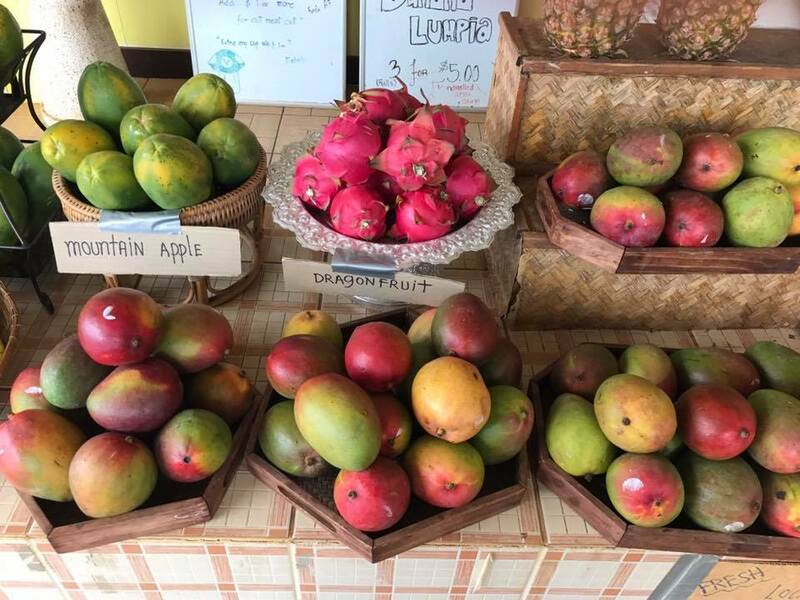 Add to this, exotic fruit flavors, and put it all on top of a big scoop of ice cream, and you have an island delight that is truly delicious. I chose macadamia nut ice cream, and oh my! I wish I could have another right about now! 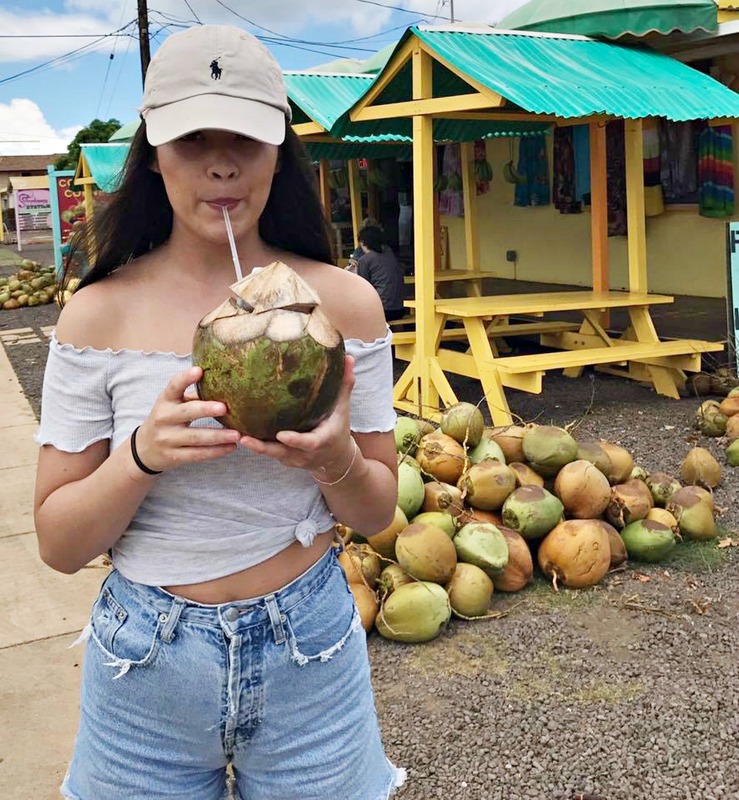 My daughter got to live out a fantasy when she had the opportunity to drink out of a fresh coconut. This was the one things she made her mission to do while there. 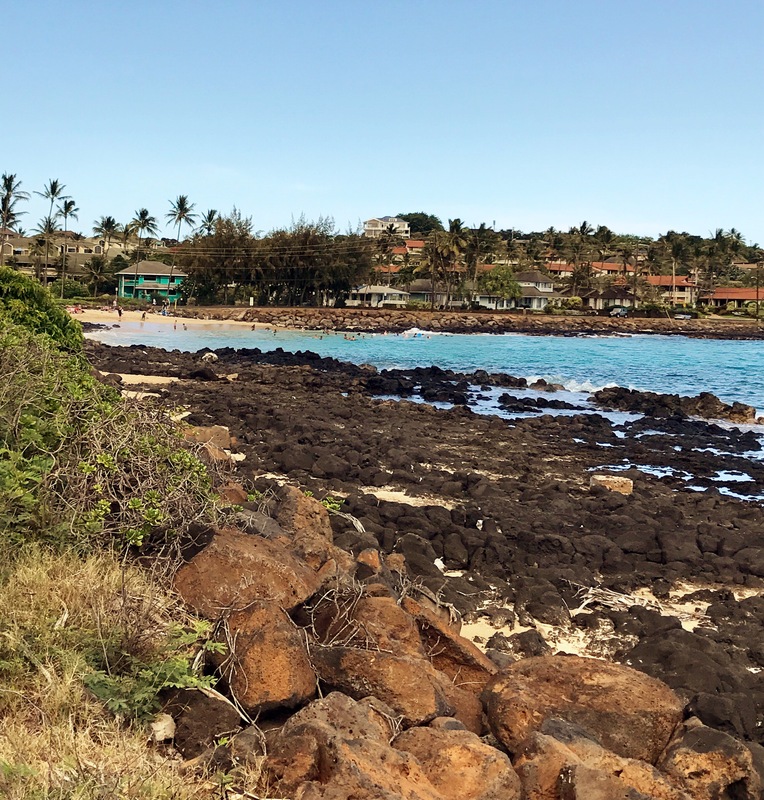 We stopped in this sleepy little town called Waimea on our way back from Waimea Canyon, and my husband and two sons had Hawaiian hot dogs that they said were the best hot dogs they have ever eaten. I believe they were called Kona Dogs. They had pulled pork on them, and we got them from a food truck- I wish I could remember the name of it. 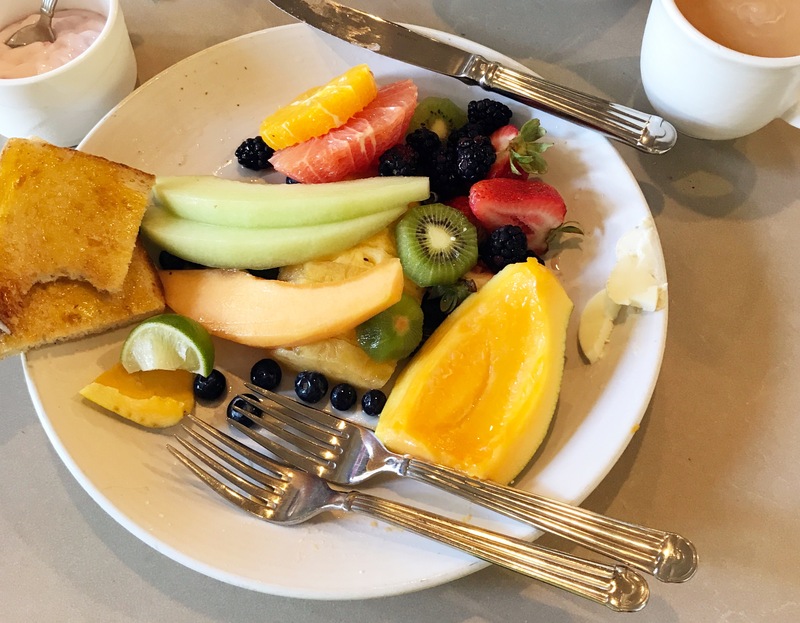 I love fruit, so this is what my breakfast consisted of pretty much every morning. Fruit, greek yogurt, hot tea, and a smoothie. I had the opportunity to try dragon fruit and Lychee for the first time,and the Lychee was amazing, but the dragon fruit was delicious too! My daughter and I are in agreement that we could live on fruit alone. We went to this restaurant for dinner one night. 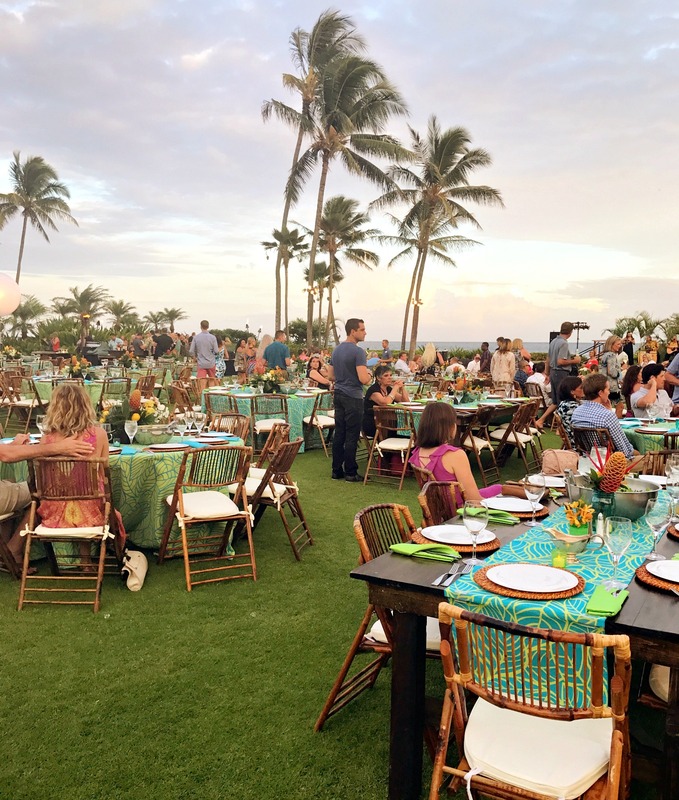 It is located in Poipu Beach, and it was a great atmosphere and delicious food and drinks. 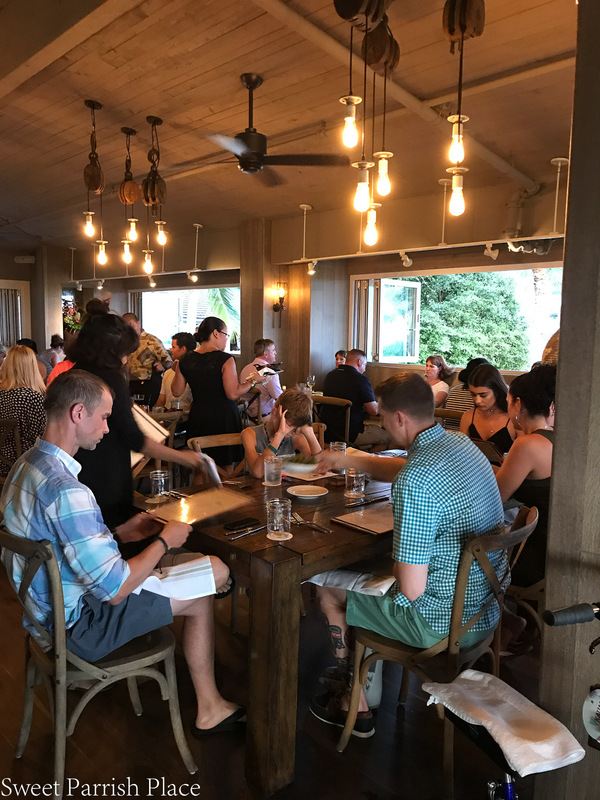 We had the most fun at The Eating House 1849! 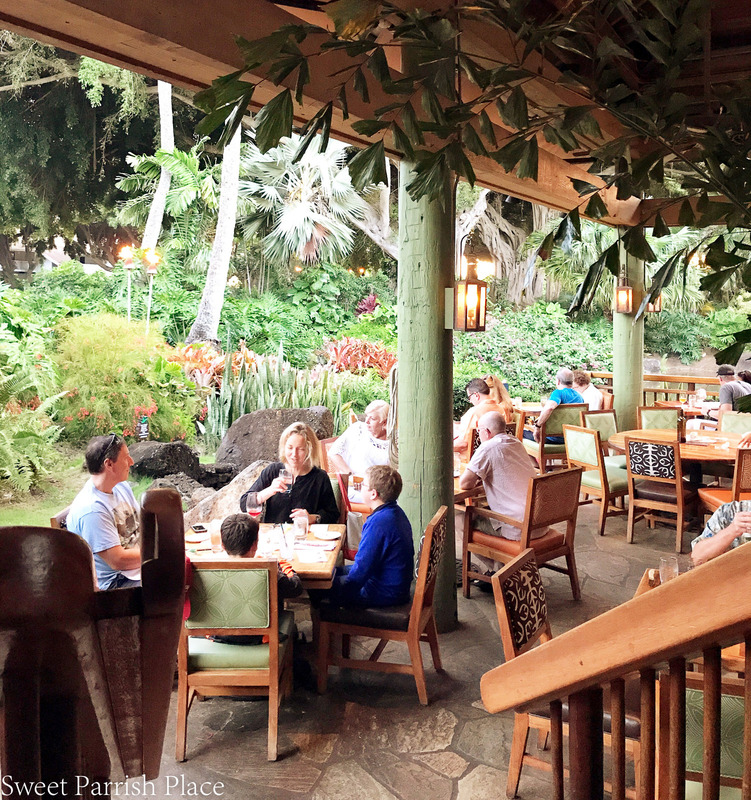 This restaurant is located in the town of Koloa. We were with friends (and the kids), and they have a tapas menu, so we decided to order one or two of each thing on the tapas menu, and just taste a little bit of everything. 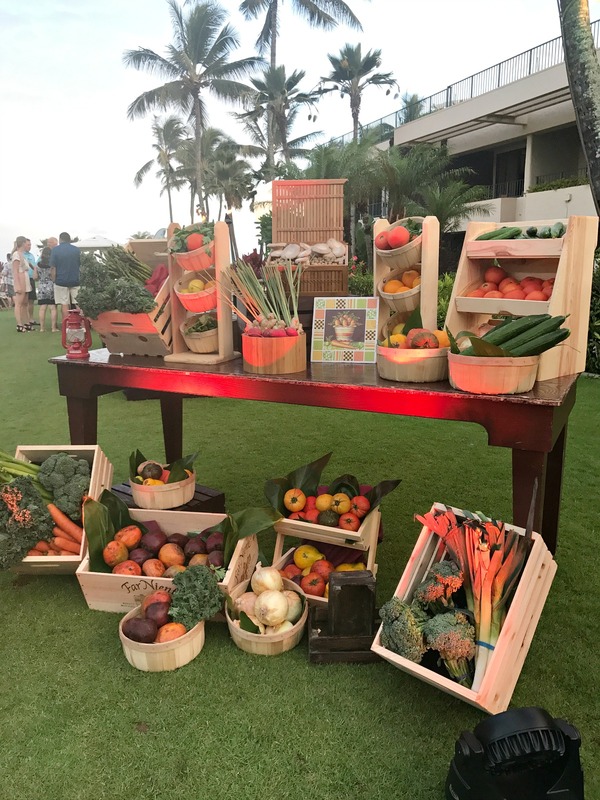 The food was delicious, and we had a ball tasting so many wonderful things! Wow, that was a long post with lots of pictures, So if you made it clear down here to the bottom, you are either a trooper, a good friend, or family. 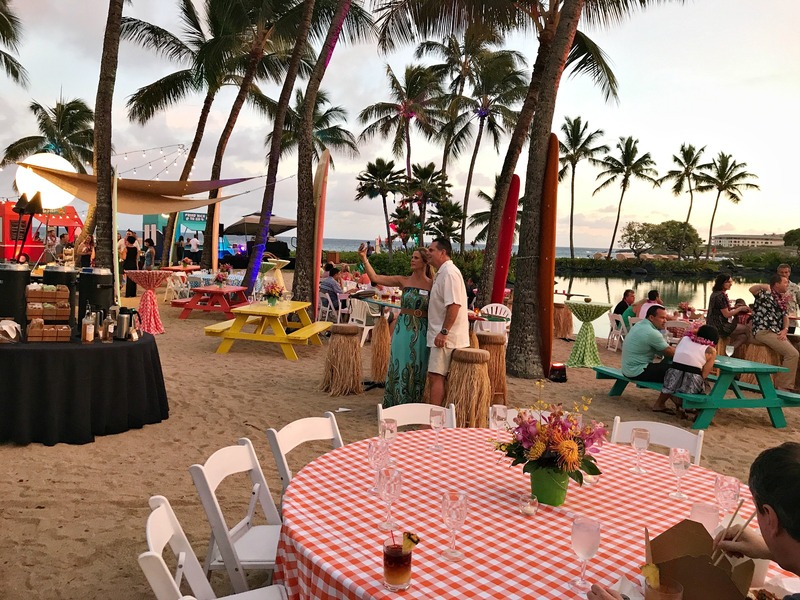 Or maybe you are preparing for a visit to the beautiful island of Kauai and you happened to this post somehow. 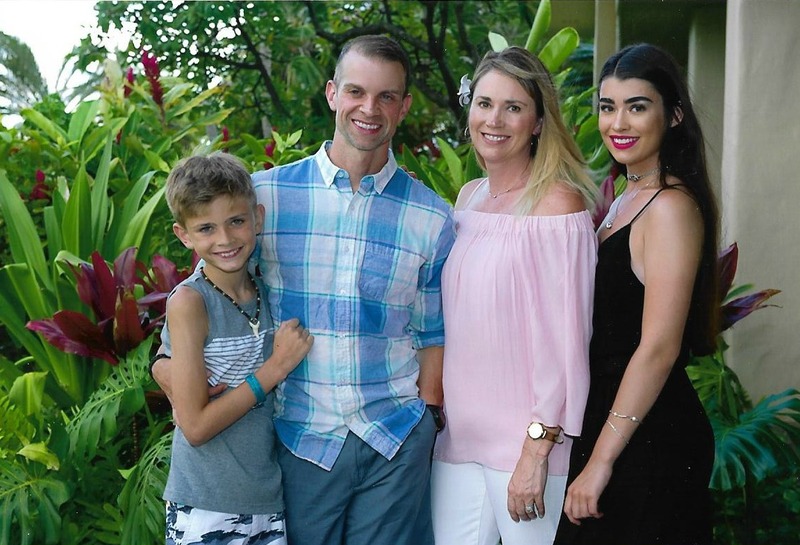 Our trip to Kauai was unforgettable and amazing. 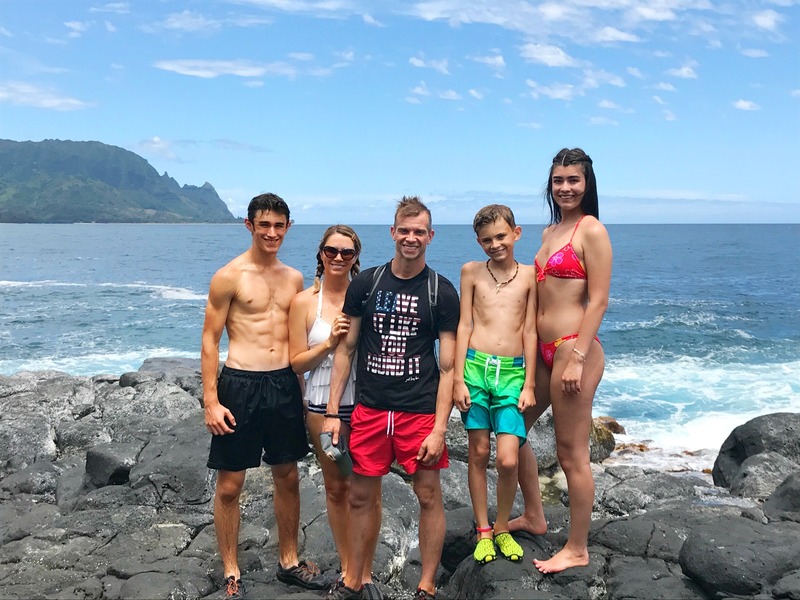 We are so happy that we had the opportunity to take the whole family to a place this wonderful. 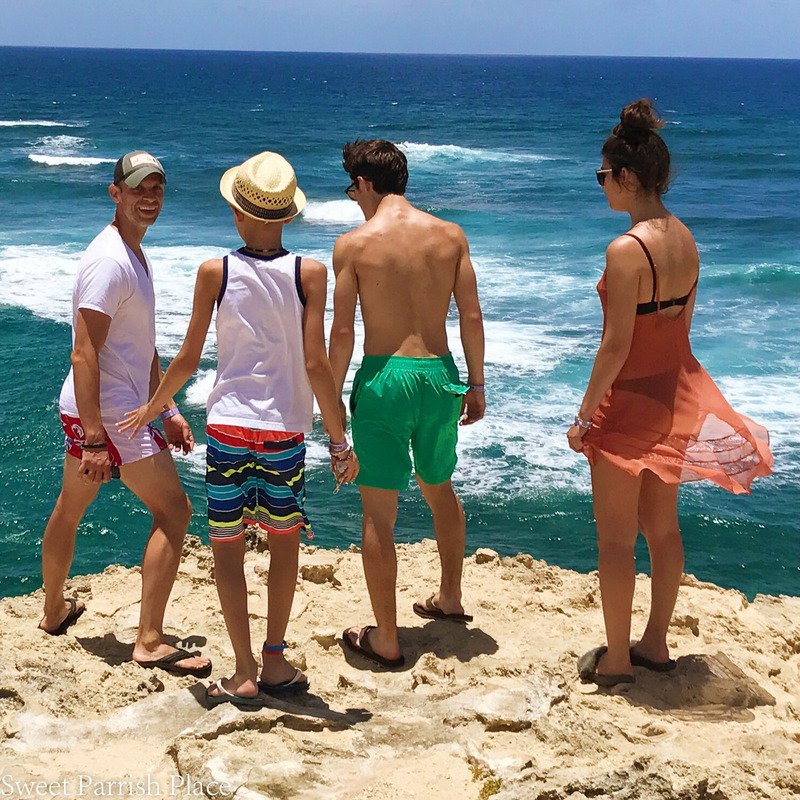 We feel that we squeezed every last drop of adventure we could into this 6 night, 7 day trip, and it is an experience that I hope the kids will remember for many years to come. 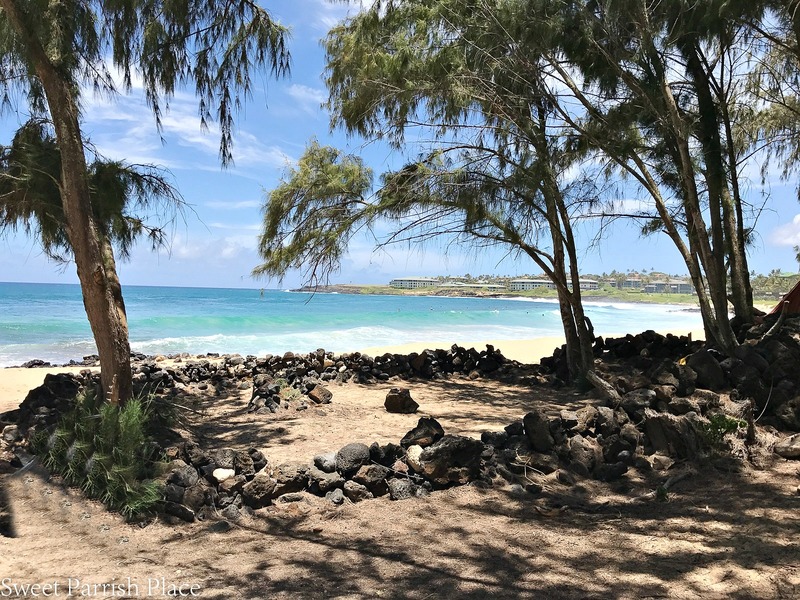 I hope you enjoyed reading about and seeing photos of our adventures in Kauai, Hawaii! Please, if you have been there, share away about your adventures or experiences in the comments below. Maybe you did things we didn’t do, and I would love to read about your experience. Nicki, Thanks for the wonderful tour and beautiful photos! We’re going on a Hawaiian cruise next year and we’ll have to decide which tours to take for each island. 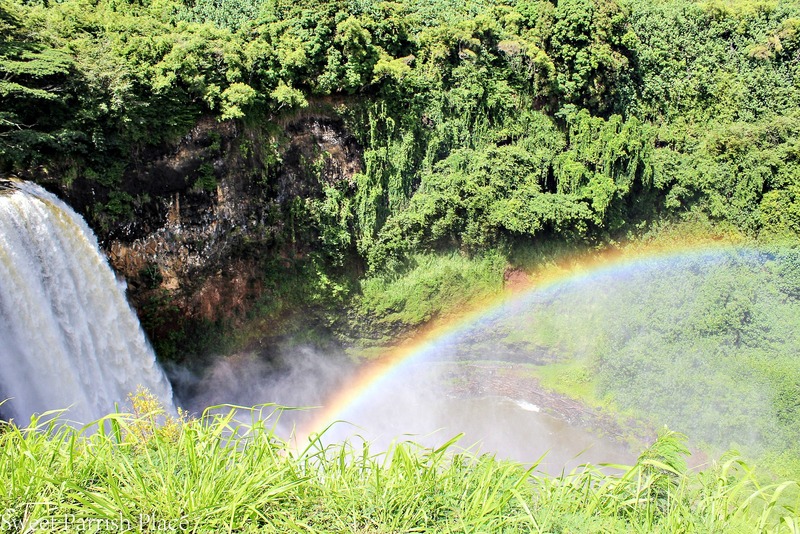 This gives us more insight into Kauai! Excited to see you soon! Oh Carol, that will be amazing! That sounds like a great vacation! I hope you get to visit some of the sights I mentioned! Hey Lauren! I was so excited to be able to see my mentor group early this year! I want to make sure I check out everyone’s blogs, but haven’t had the chance yet. 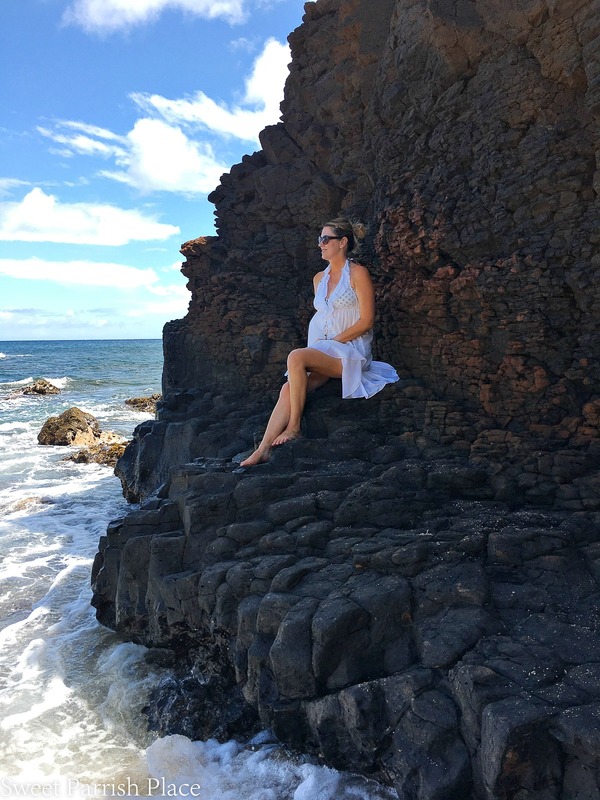 Thanks so much for taking the time to reach out to me and check out my blog! 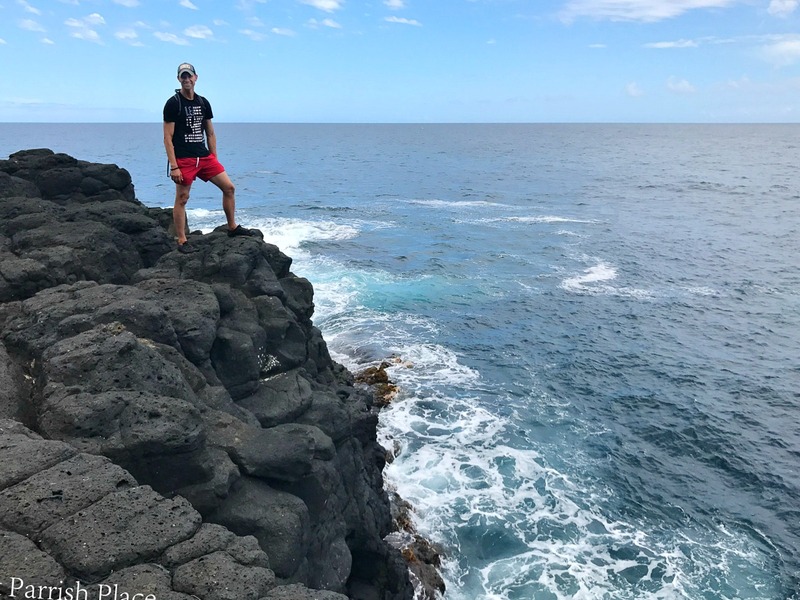 That is awesome that you have been to Kauai, I bet you visited some of the spots I mentioned too! Can’t wait to meet everyone! Hi — I’m so glad you enjoyed Kauai. 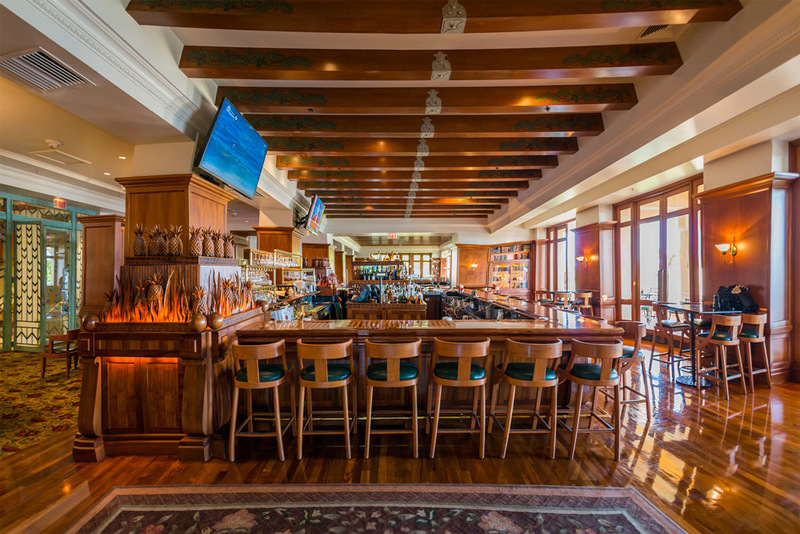 We’ve been going there for a very long time and it’s to us, the best of the Islands. 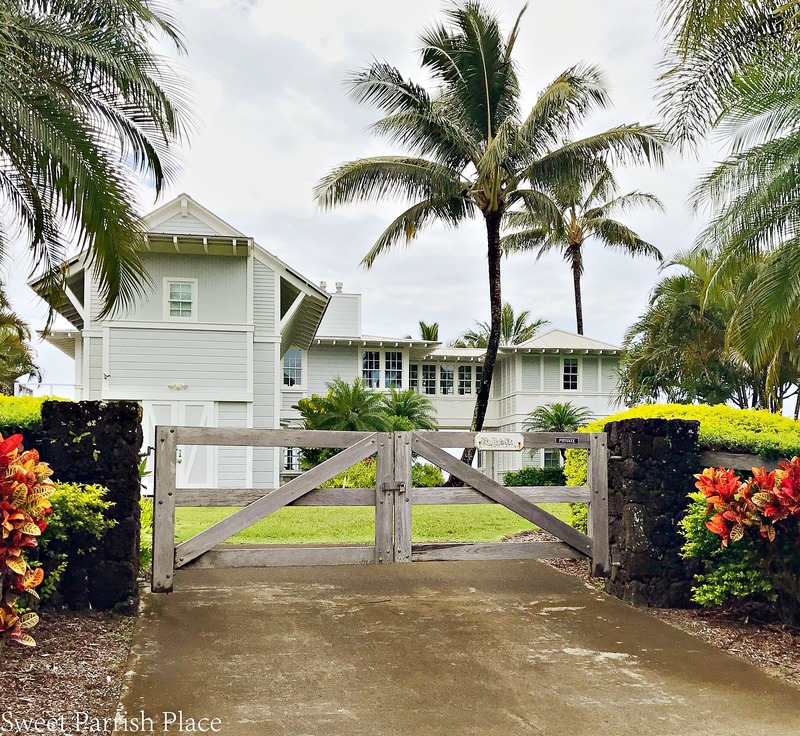 We stay in one of the condos in Princeville, up from one of the other hotels. You did a ton of things and good for you – not everyone is so adept at seeing everything that you did and think you made the grade perfectly as it appears that you did not stay in just one or two areas. 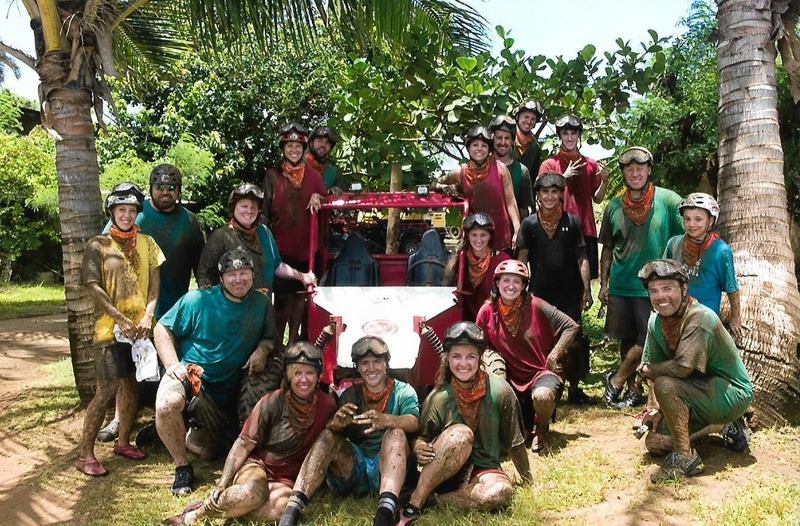 What fun and Poipu in just perfect for families. Thanks so much Margaret! It is so great to hear from readers who have also been there! 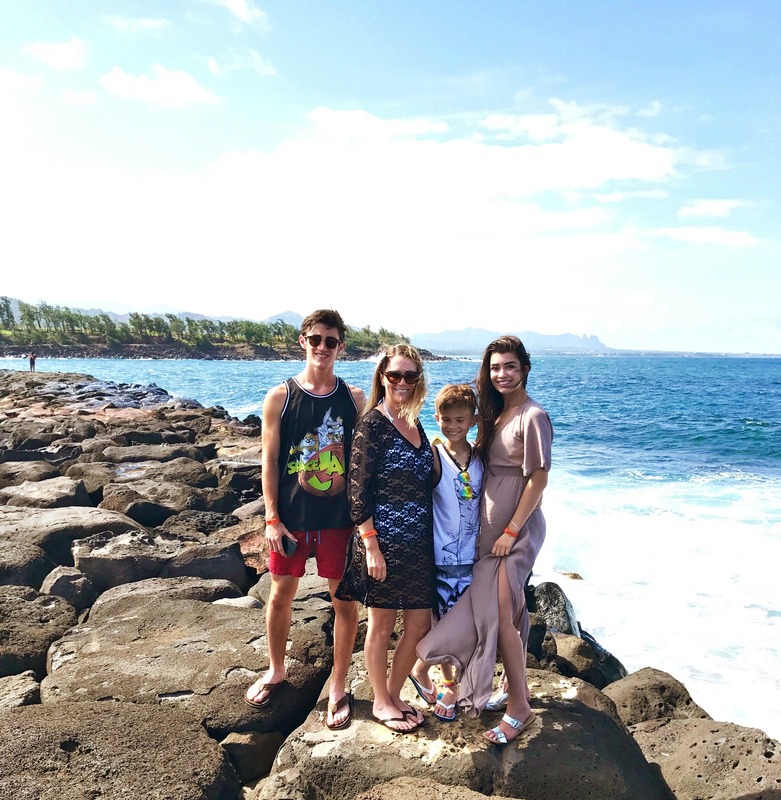 Coming from someone who lives in Kauai, is so refreshing when people come and enjoy with their families here! But I got to say that Hanalei bay is close to my heart too. The views there are among the best you can see anywhere in the world. I would recommend friends to stay on that side of the island as well. 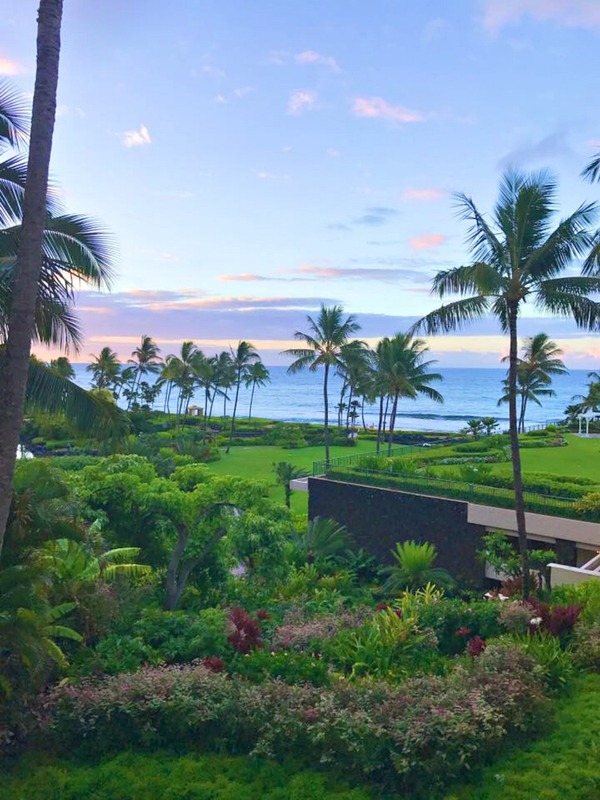 My friend Suzanne have some gorgeous villas with the bay view, http://www.beachkauai.com/ and she is a great host! 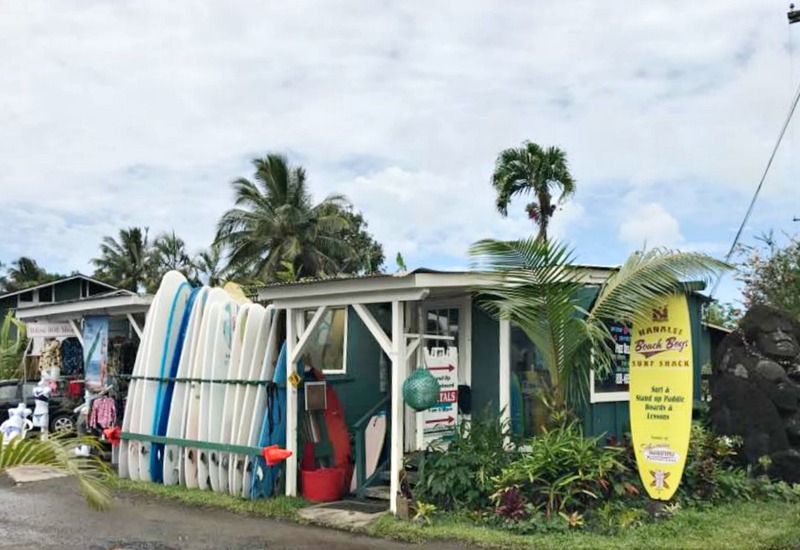 To me spending a day (or half a day at least) with the family in Hanalei is one of the best things you can do in Kauai. 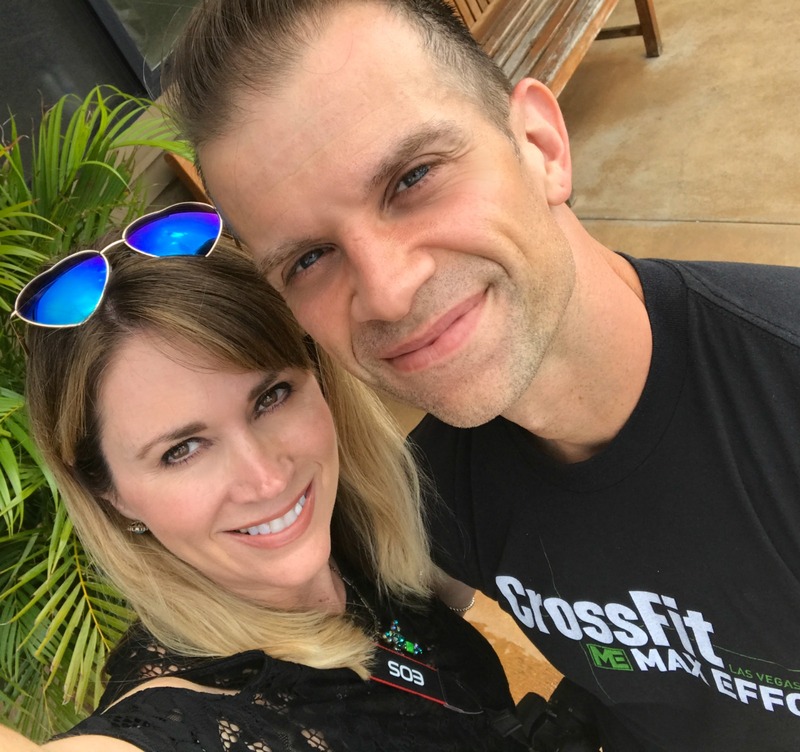 Thank you for visiting Kauai and come back soon! I am so happy to hear from a local resident! We hope to be back again one day!